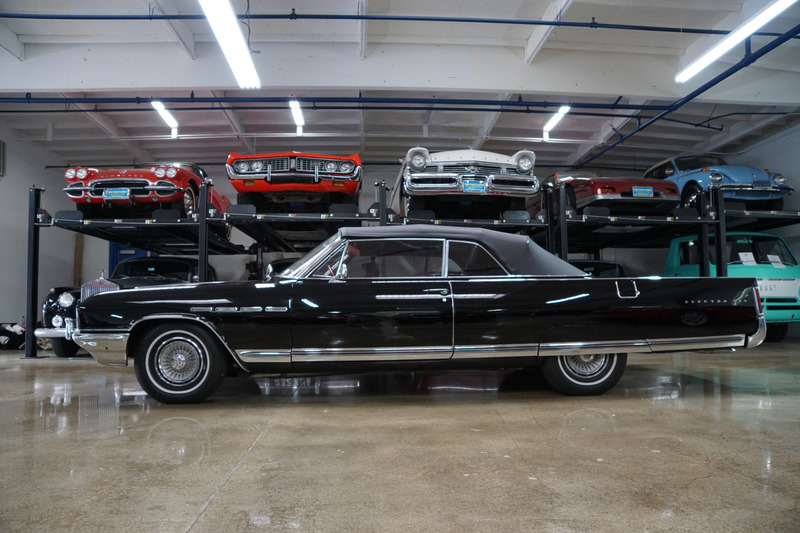 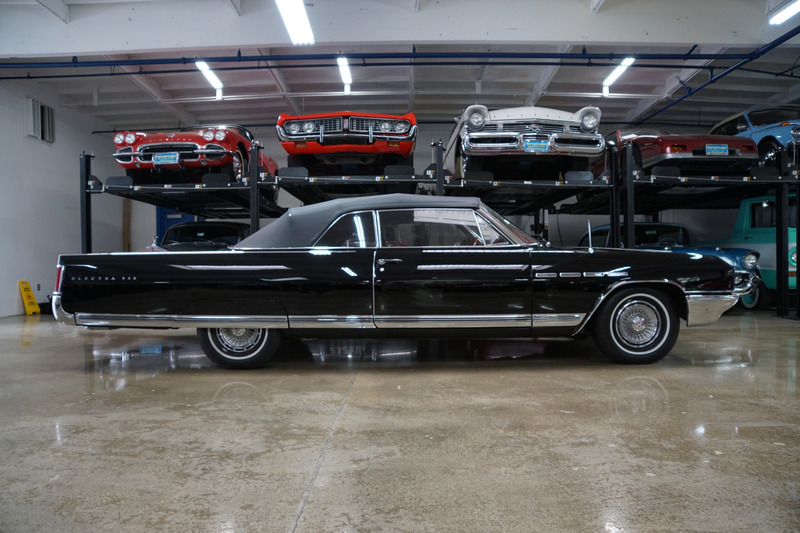 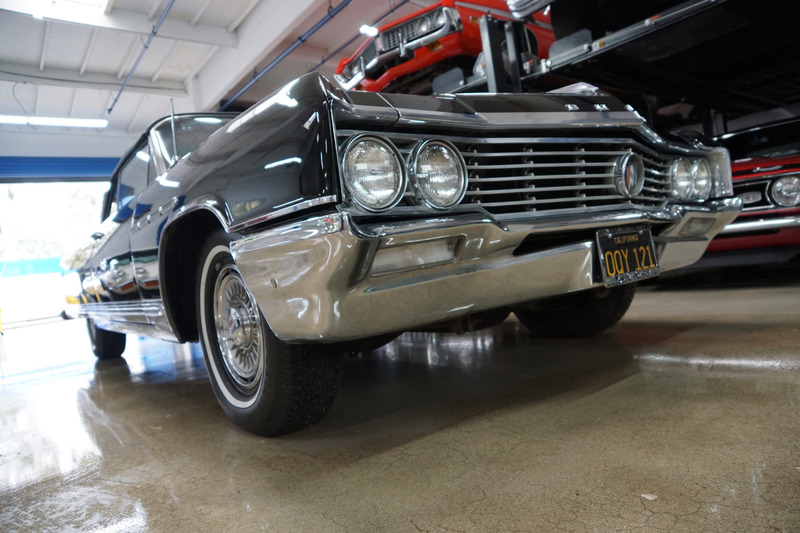 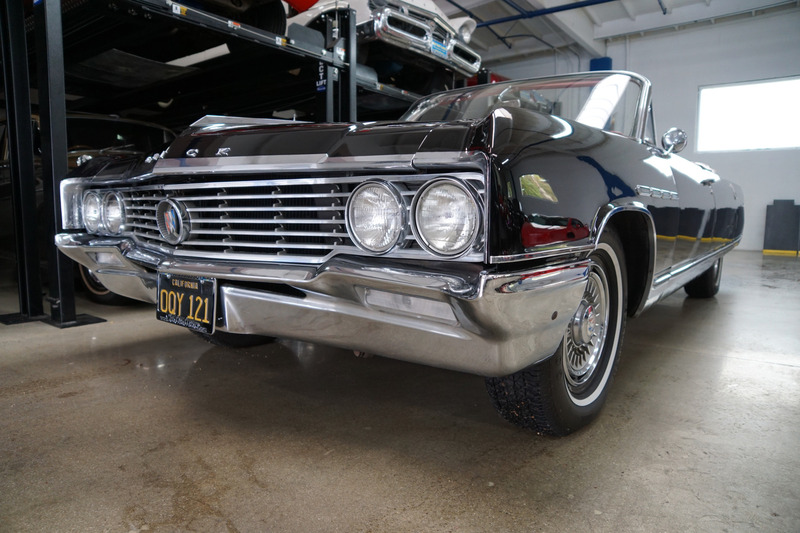 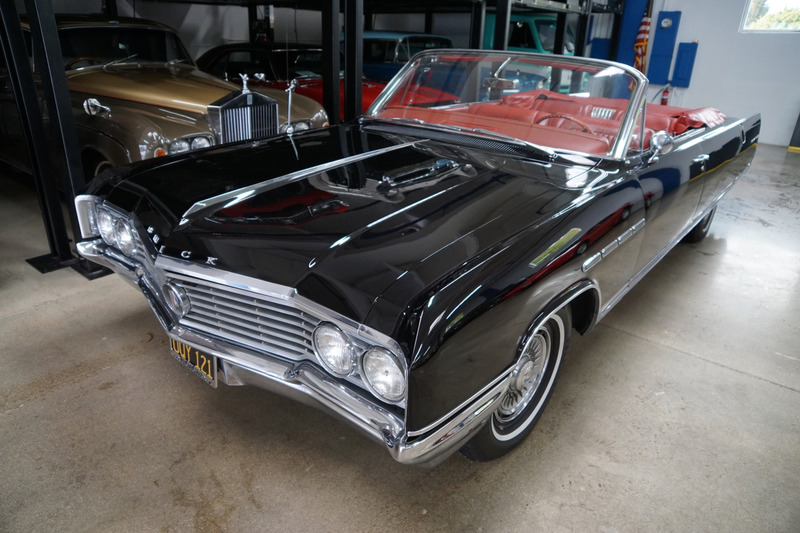 West Coast Classics are proud to present an absolutely exceptional and extremely rare and desirable 1964 Buick Electra 225 401/325HP 4BBL V8 Convertible with it's original California 'Black license plates' & 401/445 Wildcat engine with 325HP & with 90K original miles in great daily driving condition and boasting stunning all new paint in it's original striking 'Regal Black' (factory code A) color, a matching new Black power soft top, a beautiful original Red vinyl (factory trim code 667) interior, with all new tires; also included are the original owners manuals from the selling dealer of 'Lauesen Buick' of Westwood, CA from where it was sold and originally delivered to it's original Inglewood, CA owner who reportedly later sold the car to only it's second owner in the year 2001 who owned the car until it was recently sold to us. 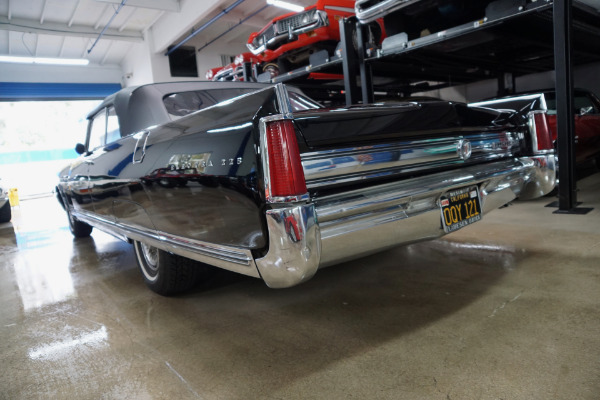 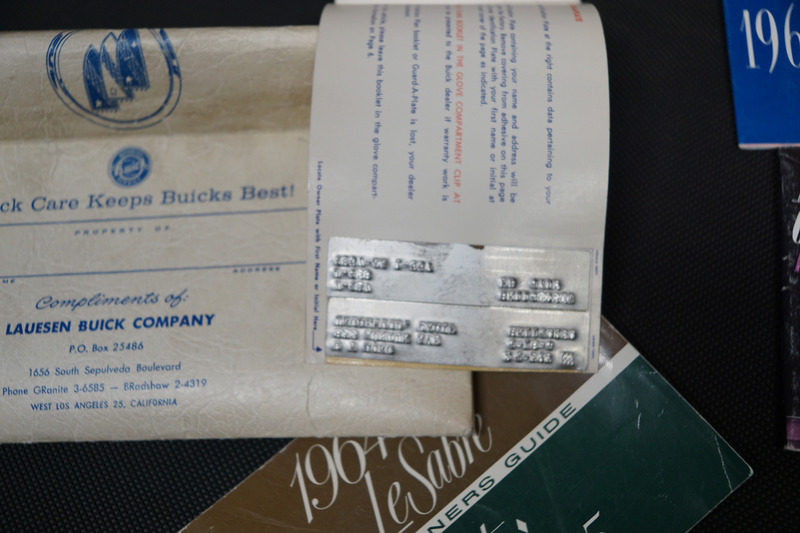 The Buick Electra was marketed by Buick as 'The Ultimate in Buick Luxury' and this is a very rare original southern California example with it's original 401 c.i. 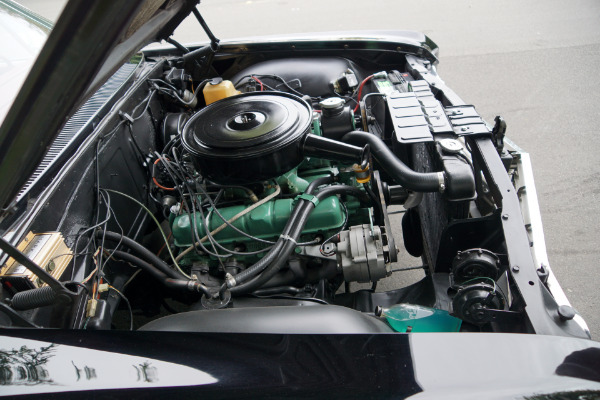 'Wildcat' 4 barrel V8 engine with dual exhausts! 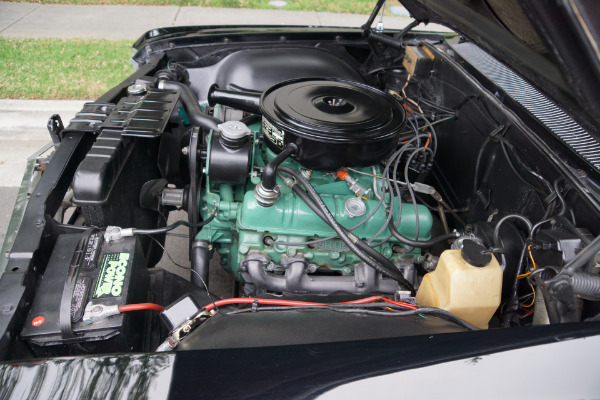 The 401 cid V8 with a single 4 barrel carburetor had 445 lbs of torque, hence the legendary '445 Wildcat' engine was born! 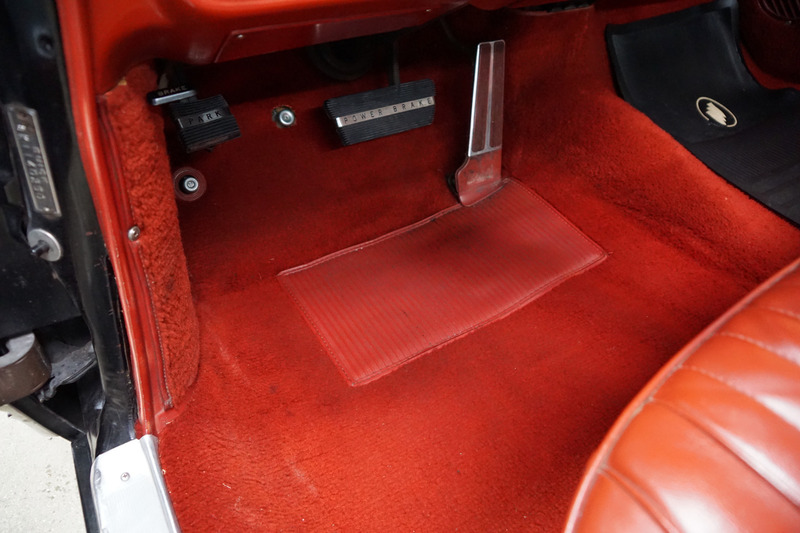 It came only with a Turbine automatic transmission. This car was one rare blend of size and performance before the muscle car era! 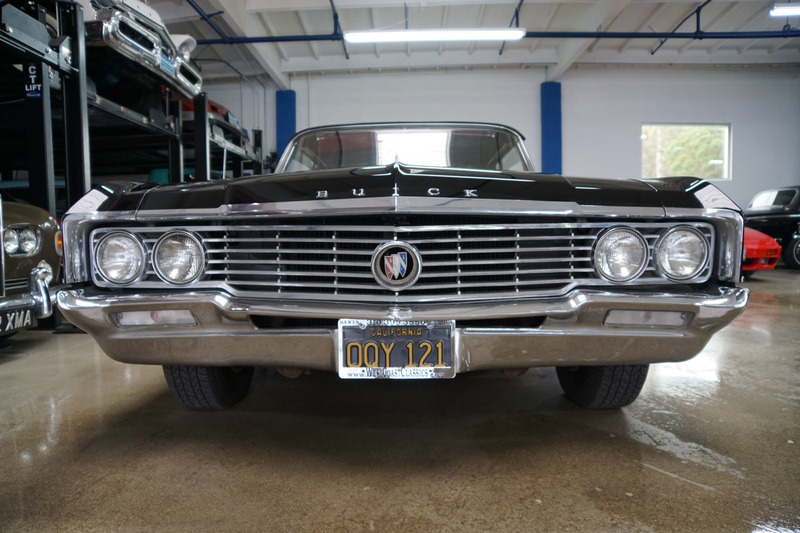 The original factory options included the highly desirable High Performance 401 c.i. 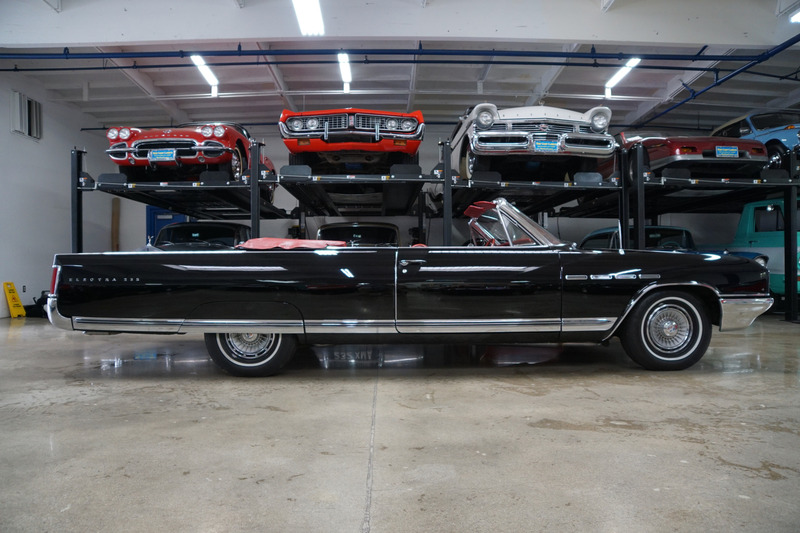 4 barrel V8 engine, Power steering, Power brakes, AM radio with power antenna, Rear seat speaker, Dual exhausts, Oversize whitewall tires, electric clock, rear floor lamp, deluxe steering wheel, wheel covers, tachometer, vinyl bucket seats, custom bright metal exterior moldings and wheel well moldings. 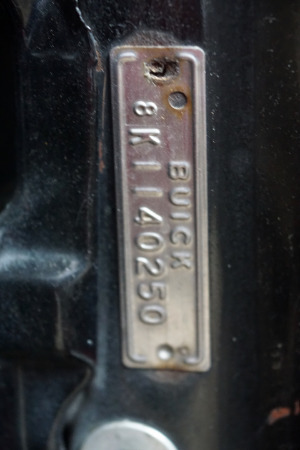 The 401 cu in (6.6 L) Nailhead engine was Buick's muscle car powerplant of choice, and was found in the company's Skylark Gran Sport and Buick Wildcat, among others. As unlikely as it seems, the air cleaner for the engine is annotated with "Wildcat 375" "Wildcat 410" "Wildcat 445" these inscriptions indicated not the cubic inches displaced but the ftlbf of torque produced by the engine. 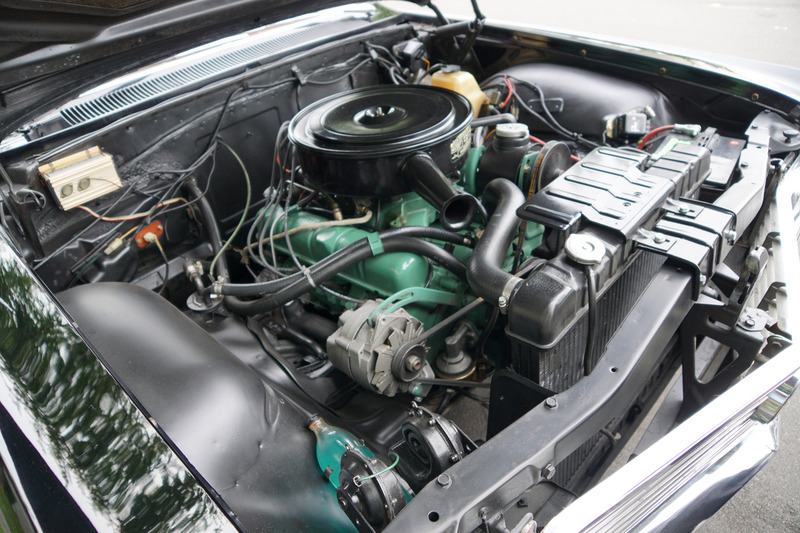 The "Wildcat 410" was the 2-barrel carbureted engine that was standard on the 1962-63 LeSabre. 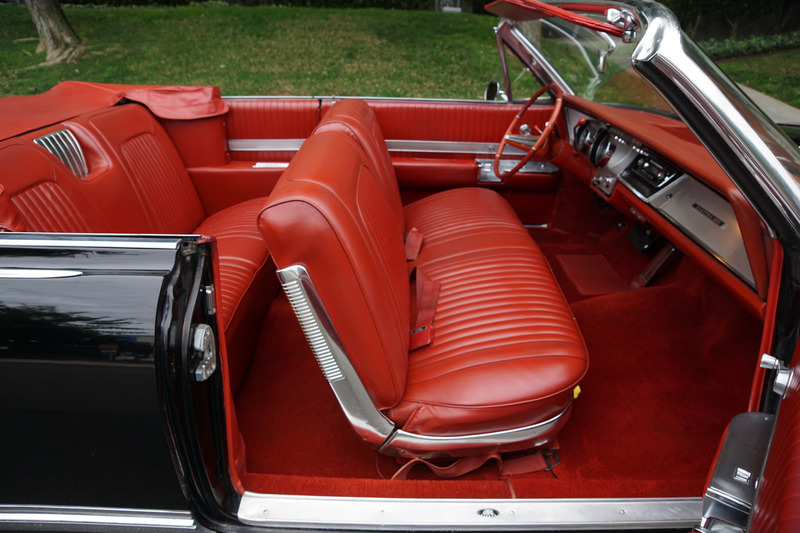 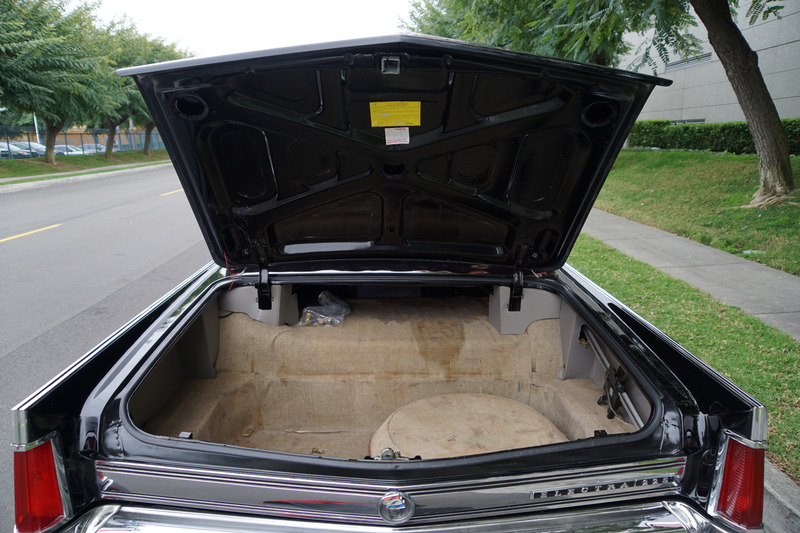 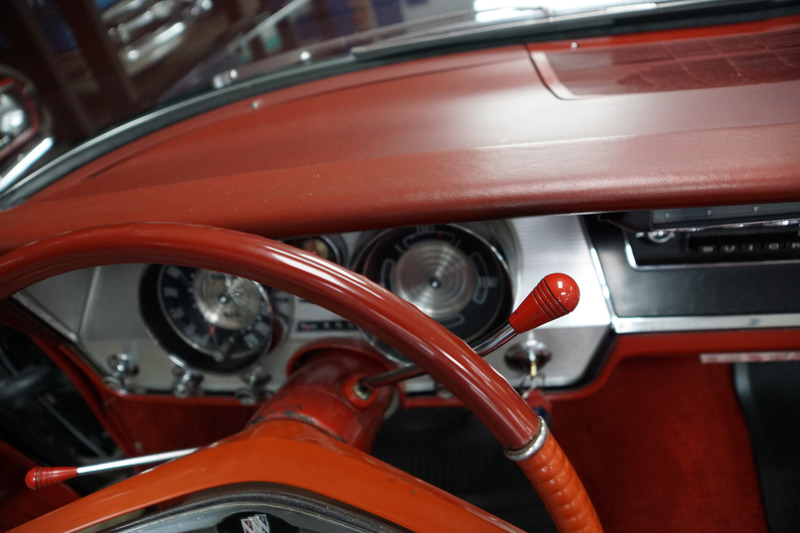 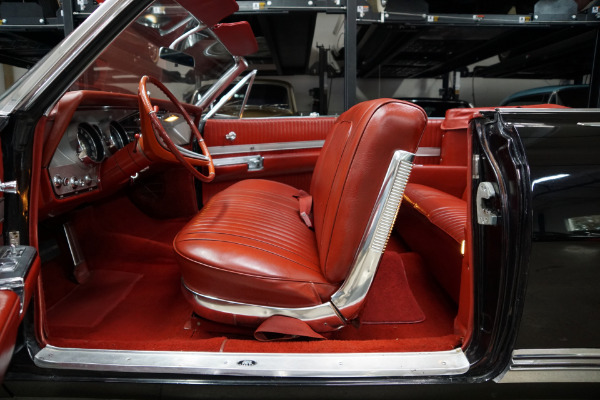 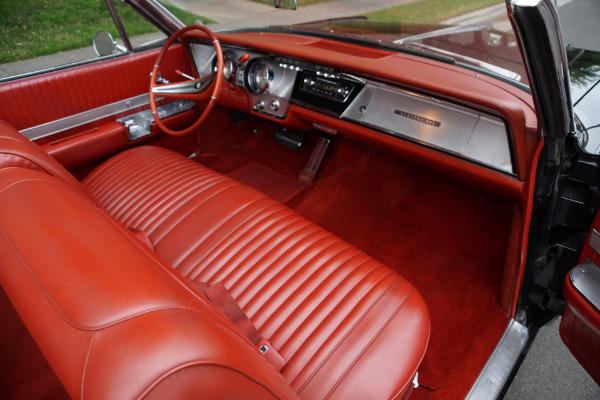 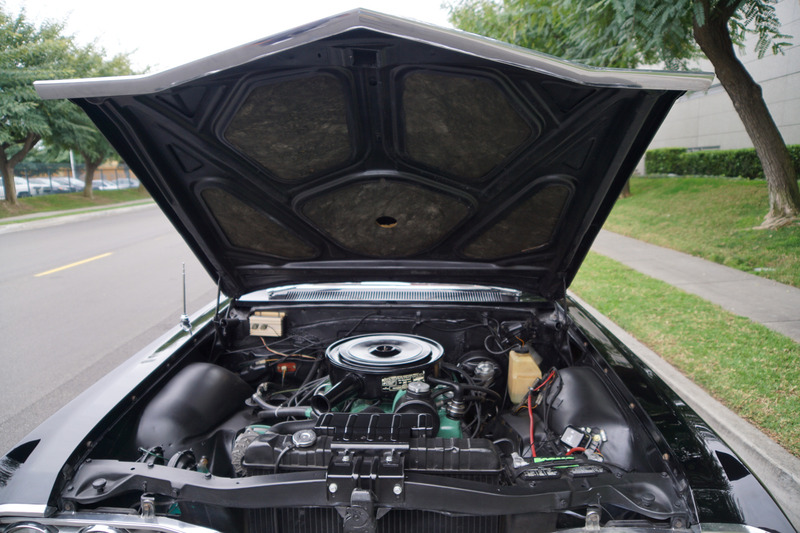 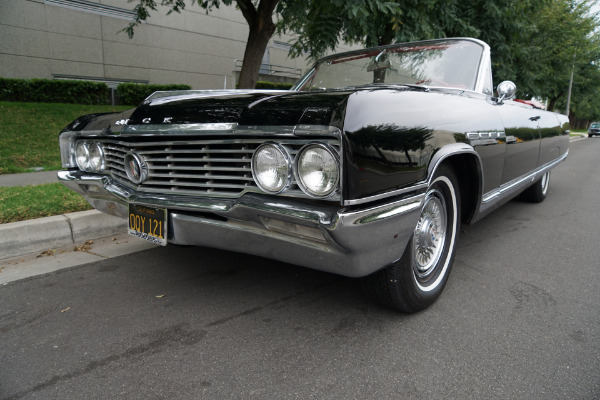 The "Wildcat 375" was a no cost option on the 62-63 LeSabre that had lower compression to run on regular fuel. Another Buick V8 had "Wildcat 375" written on its air cleaner but it wasn't a "Nailhead", it was the 4-barrel version of the 66-67 small block Buick 340. The "Wildcat 445" had a single 4 barrel carb. 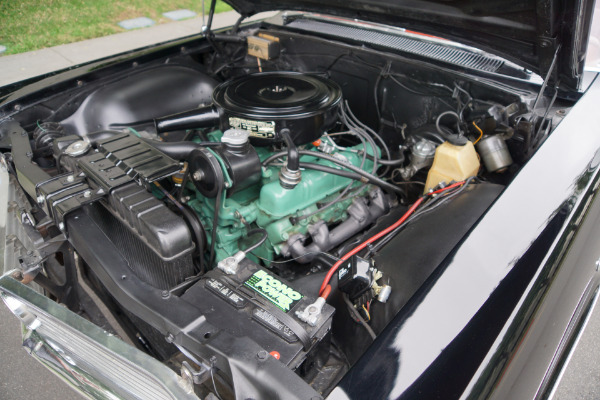 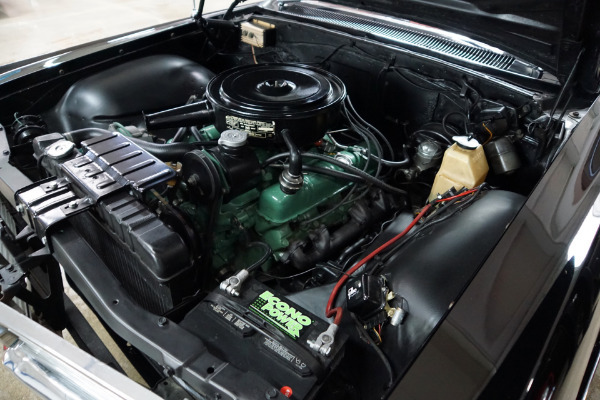 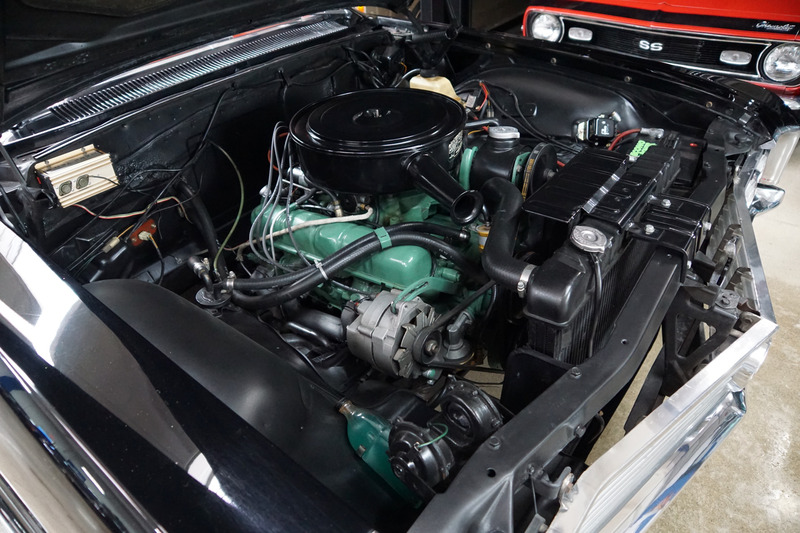 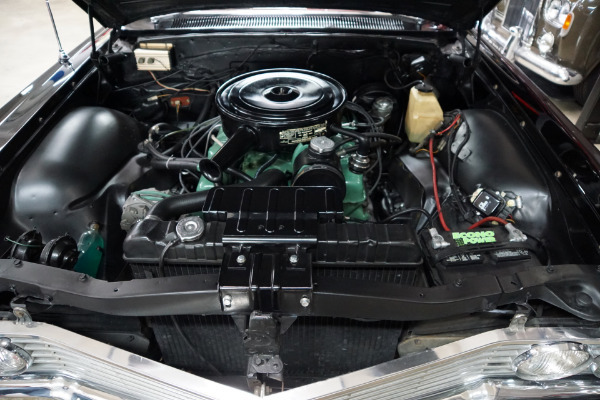 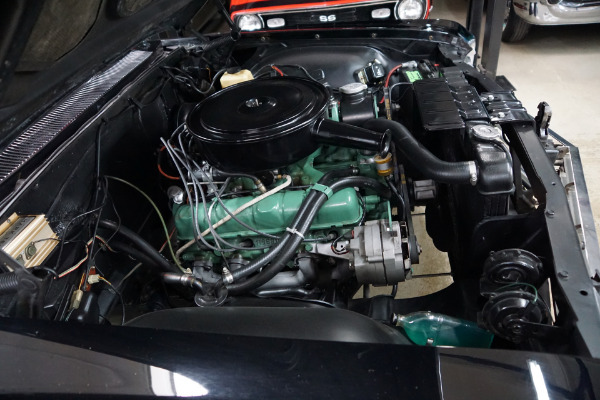 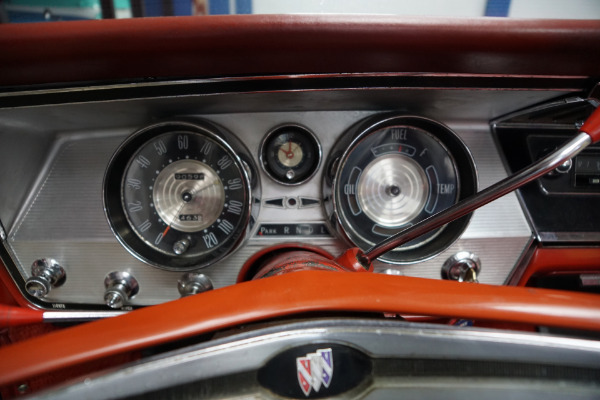 It was the standard engine on the Invicta, 1959-66 Electras, 1962-66 Buick Wildcat, 1963 Riviera and 1965 Riviera (the 64 and 66 Riviera models had a 425 in engine with a single 4 barrel carb. 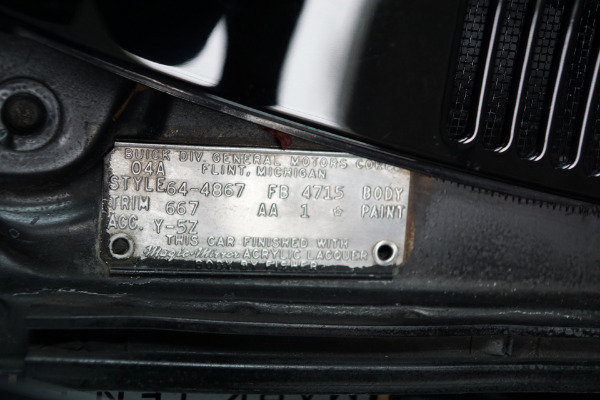 named "Wildcat 465" as standard equipment). 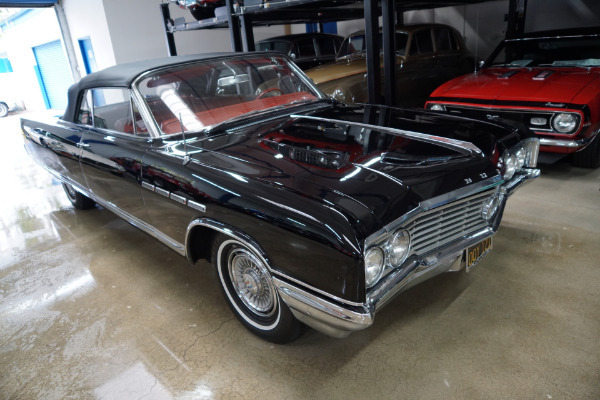 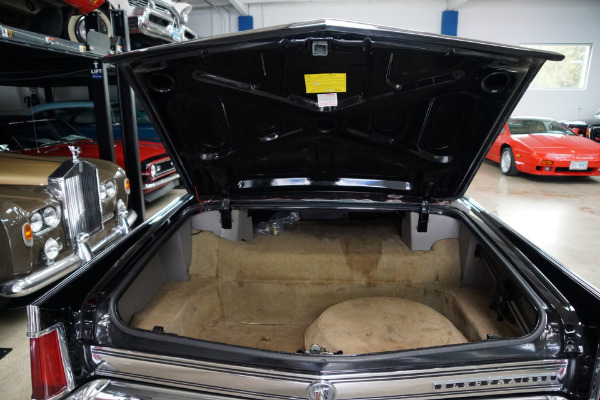 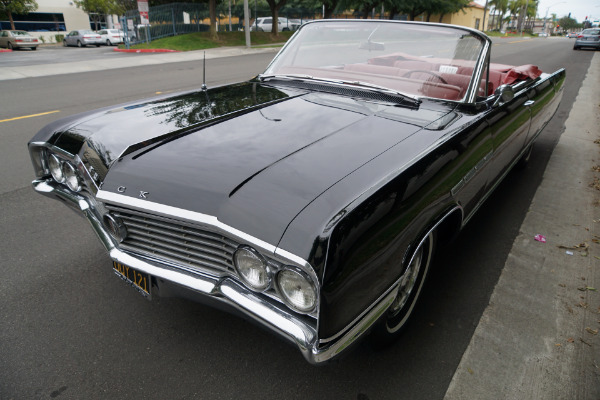 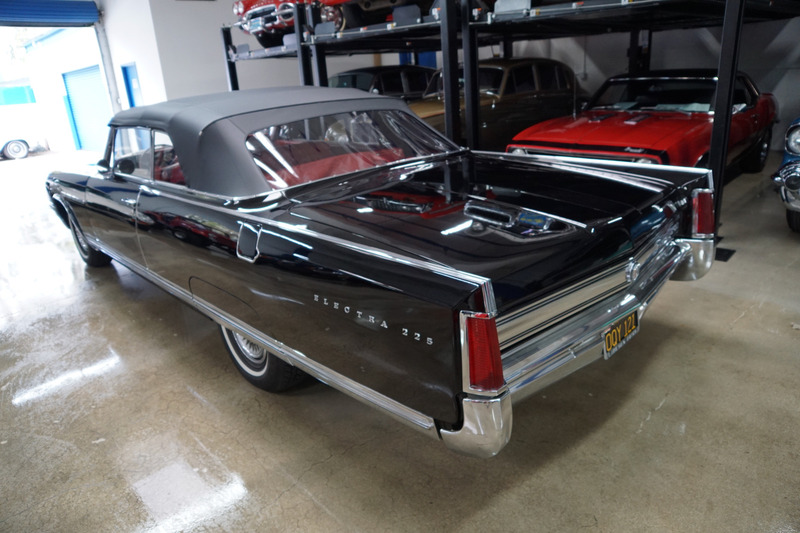 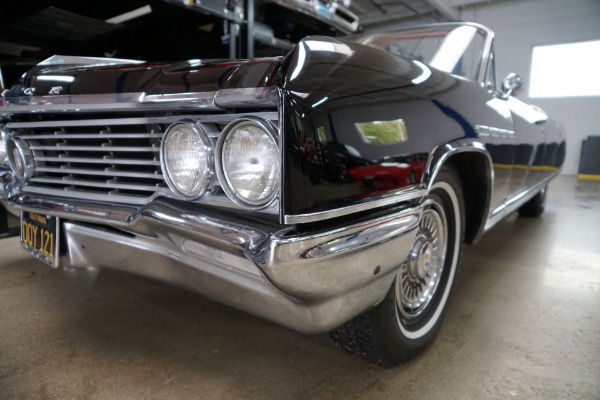 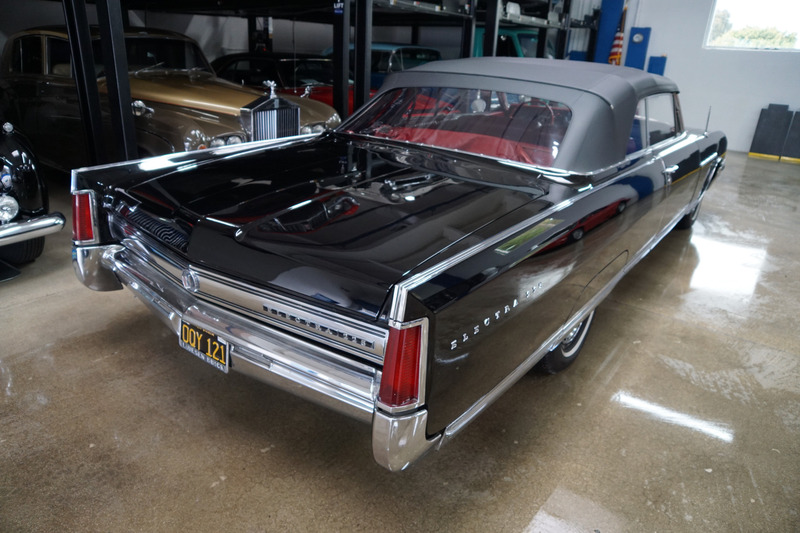 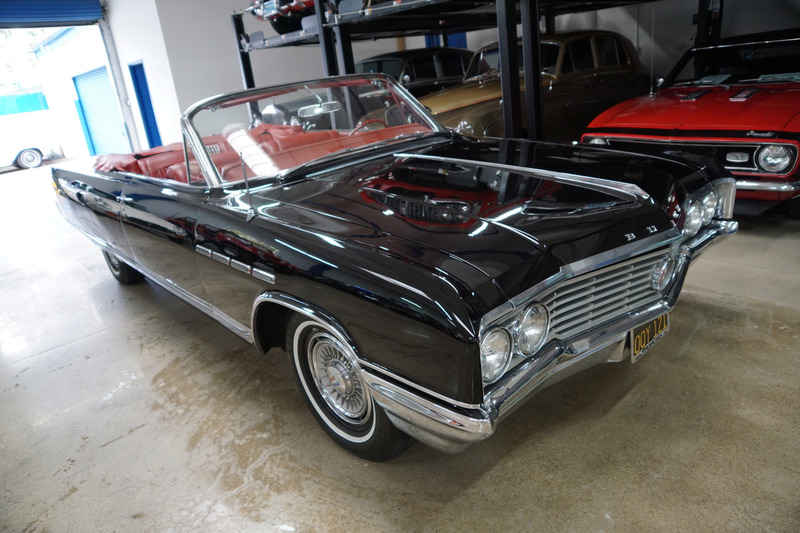 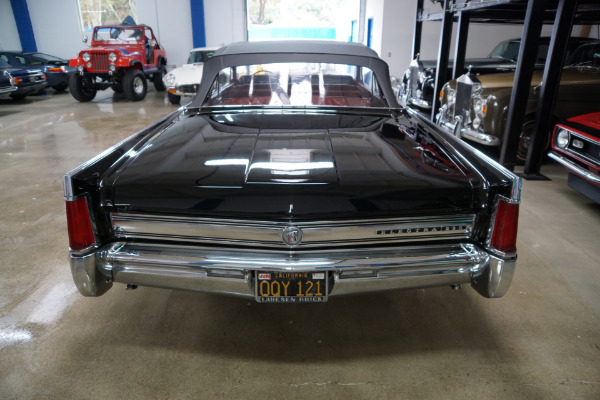 This particular 1964 Buick Electra 225 Convertible boasts the 401/445 example engine and is in very fine condition throughout - obviously an always garaged and cherished car since new. 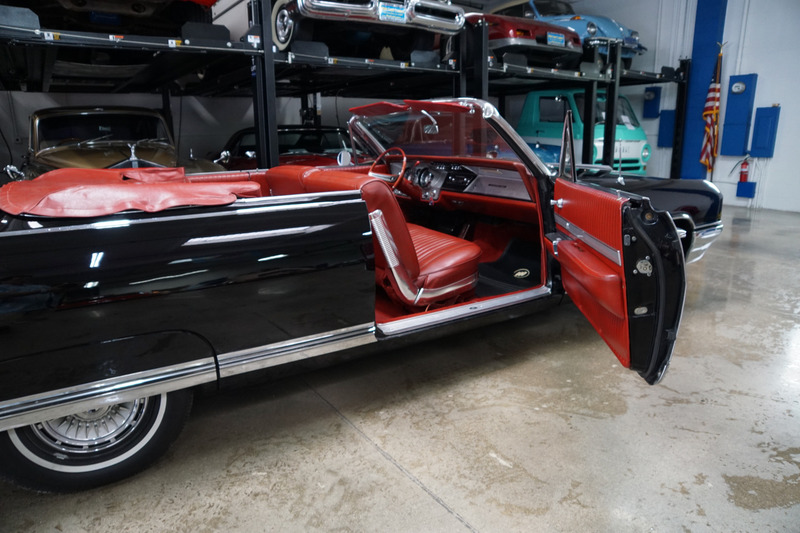 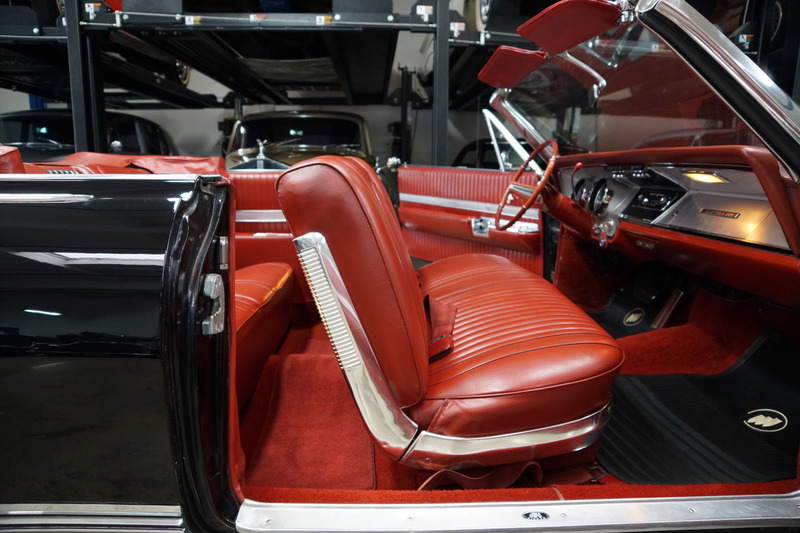 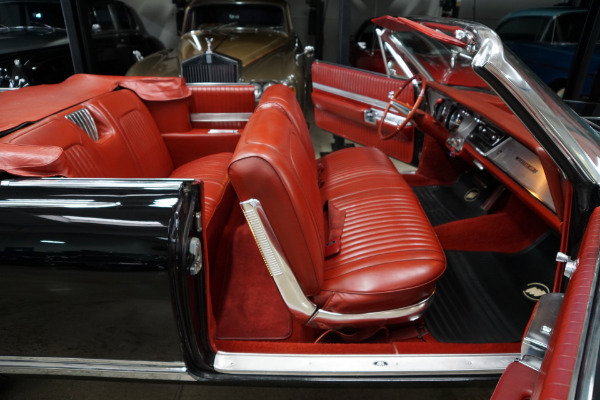 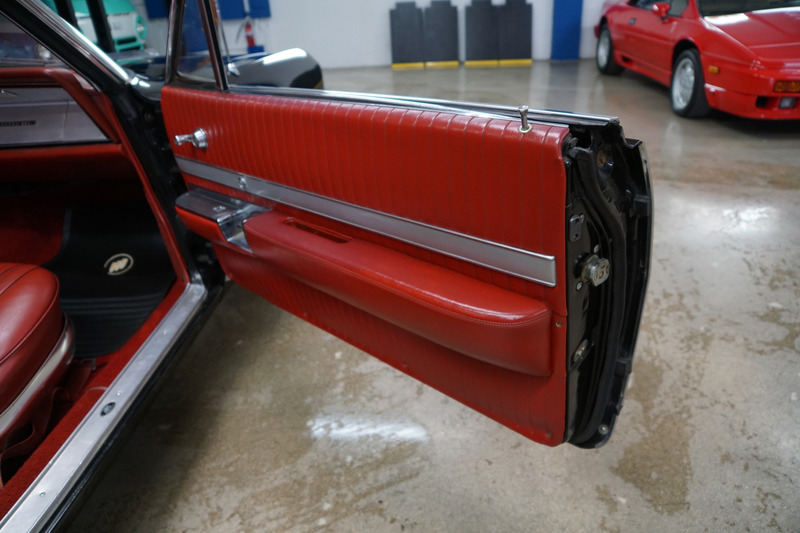 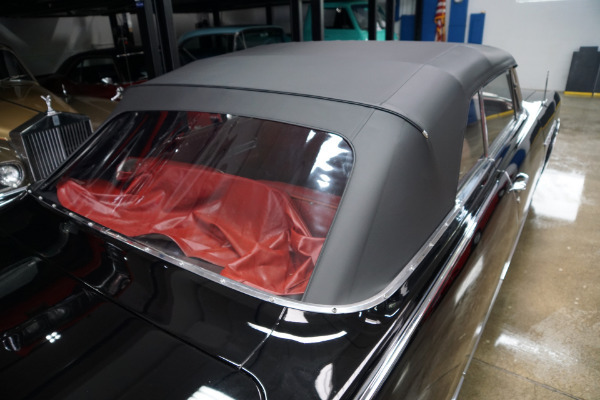 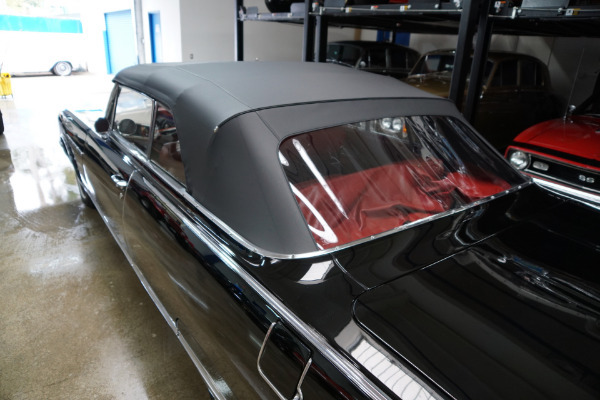 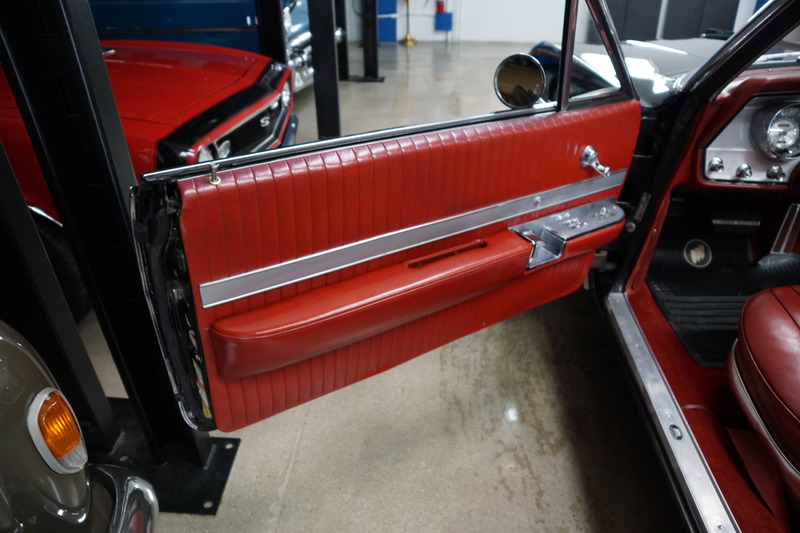 The car looks extremely impressive with a recent professional repaint in it's original color, a brand new Black power soft top and it's original Red factory color interior and carpet. 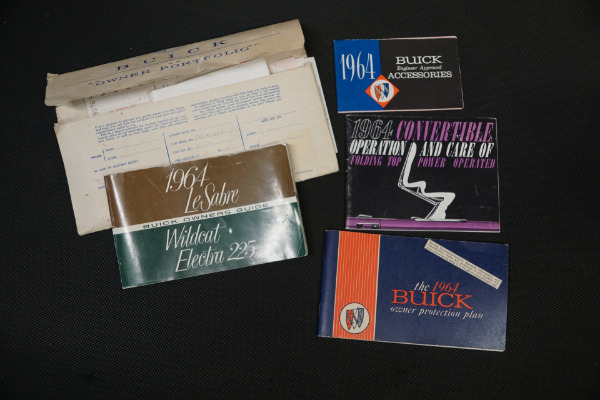 The original 401 c.i. 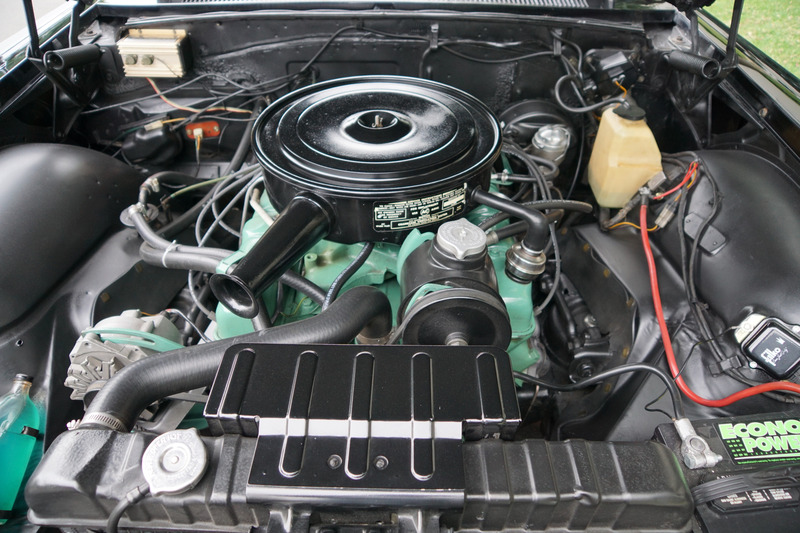 4 barrel V8 engine is extremely strong and powerful and sounds absolutely magnificent and this particular car drives absolutely magnificently - must be driven to be appreciated - does not miss a beat and purrs like a kitten - drives straight as an arrow with no strange road wobbles, shakes or rattles - a truly remarkable daily driver that will give any modern day sports car a run for it's money! 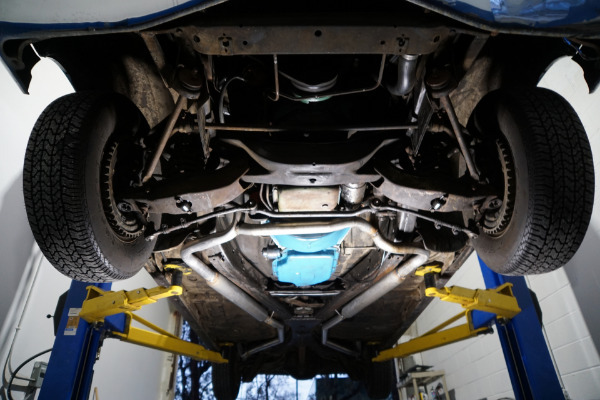 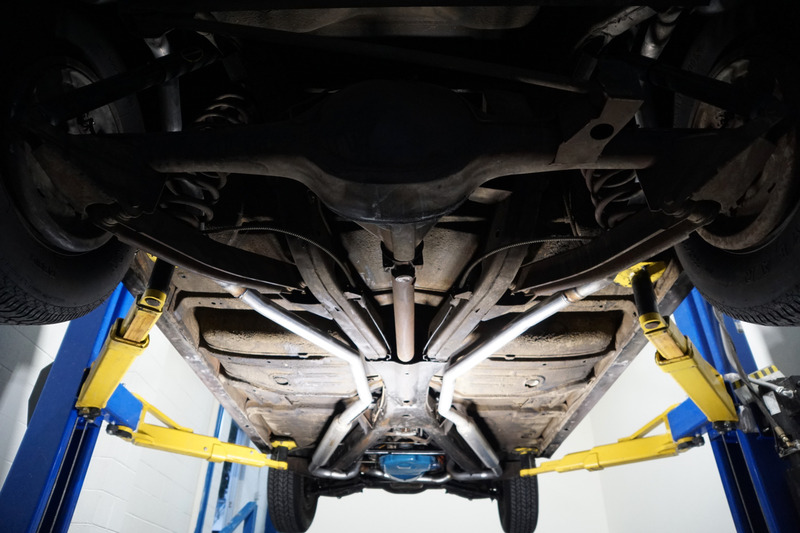 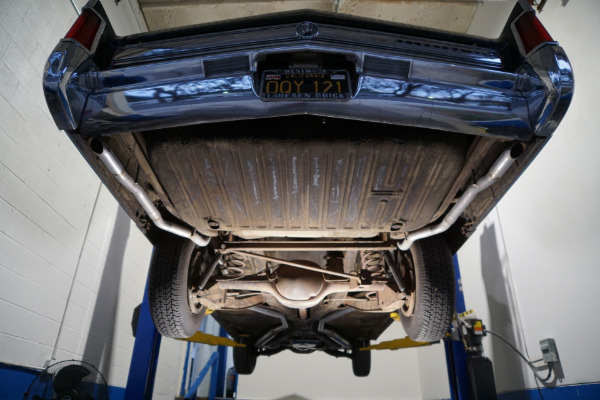 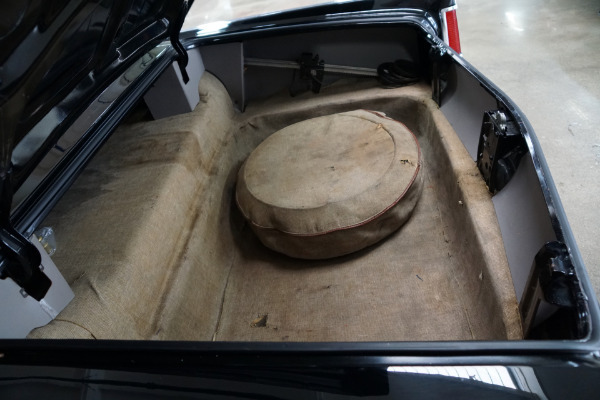 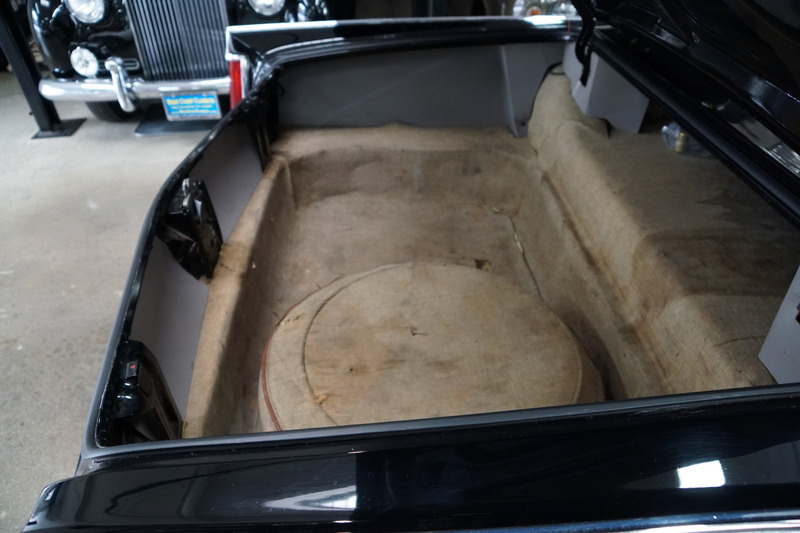 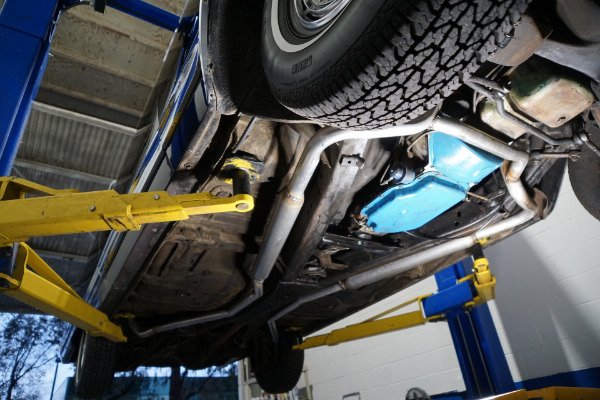 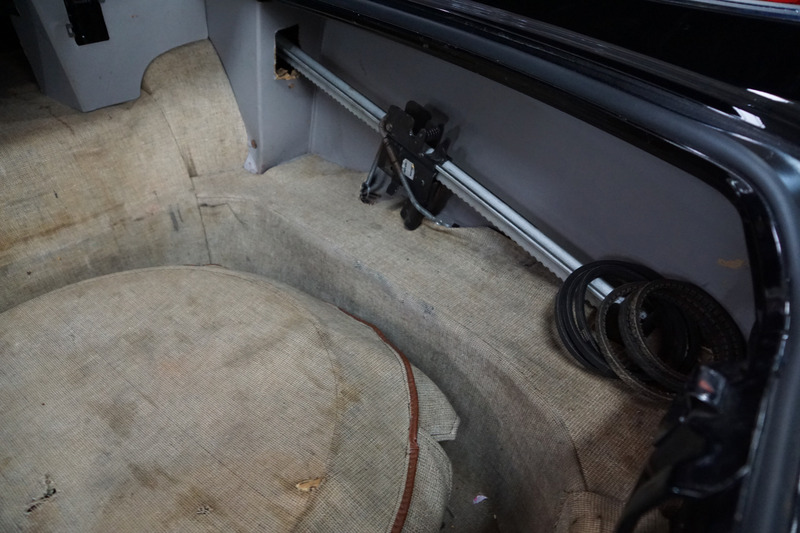 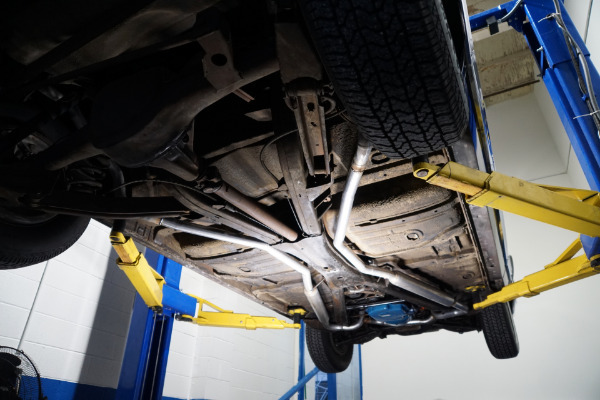 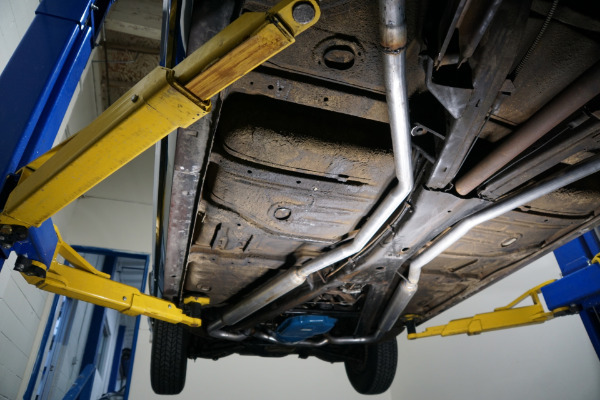 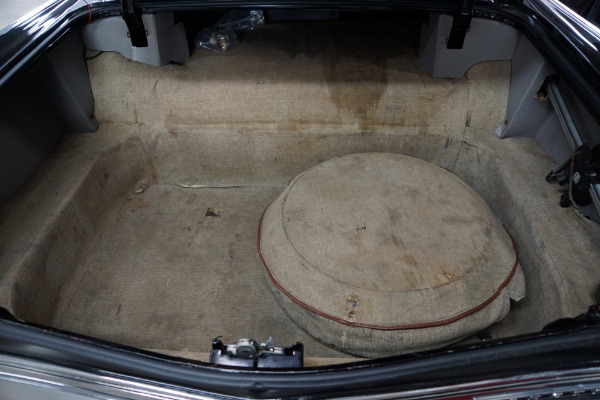 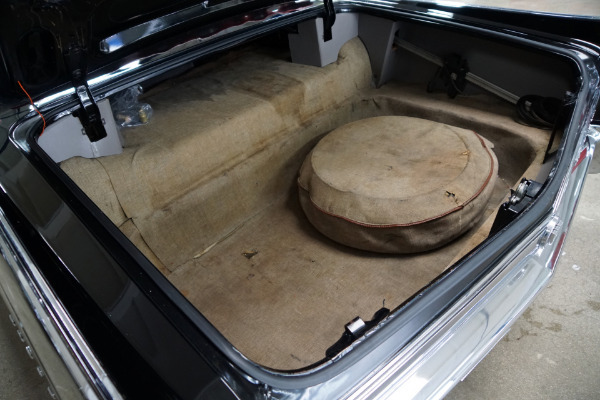 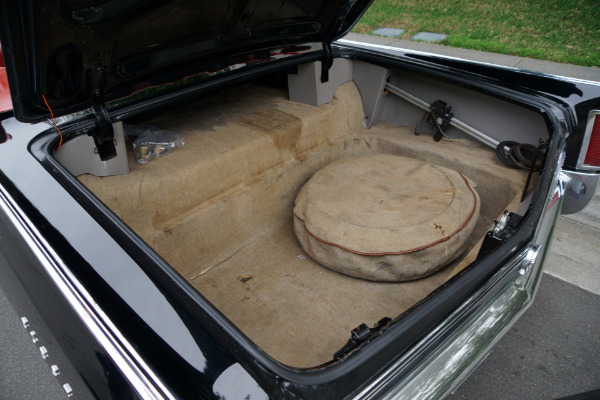 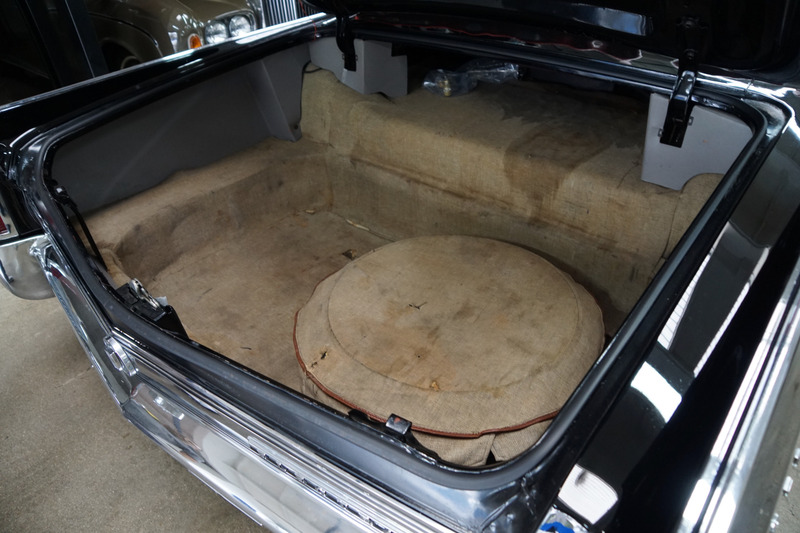 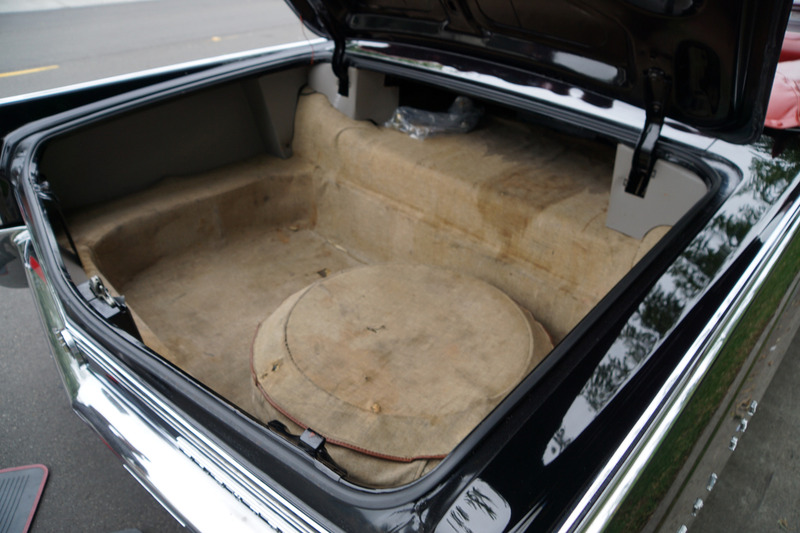 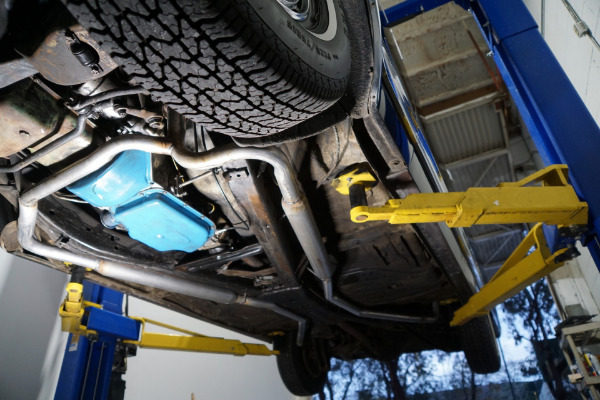 The transmission shifts smoothly through the gears and the car has four new whitewall tires and the car boasts it's original trunk lining and spare wheel and jack still in the trunk! 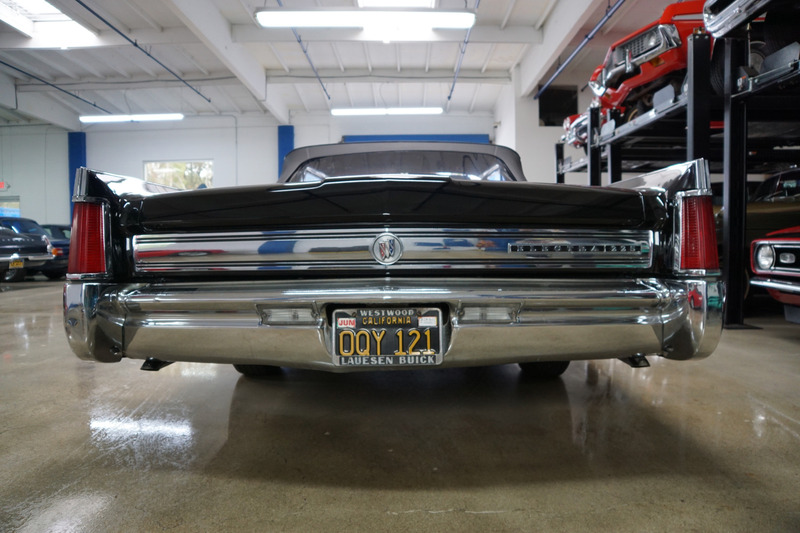 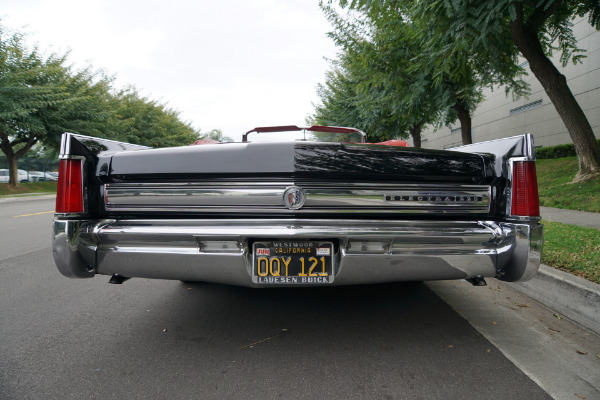 The Electra 225 nameplate was a nod to the latter car's overall length of over 225 in (5,715 mm), earning it the street name "deuce and a quarter." 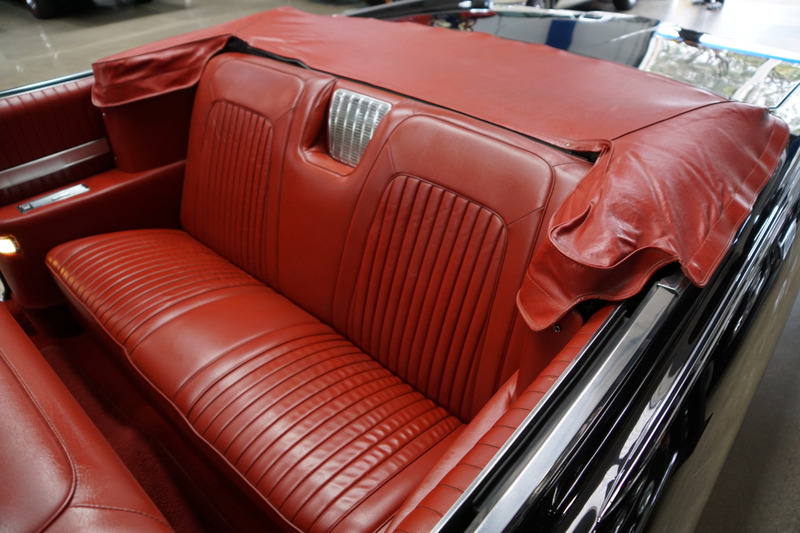 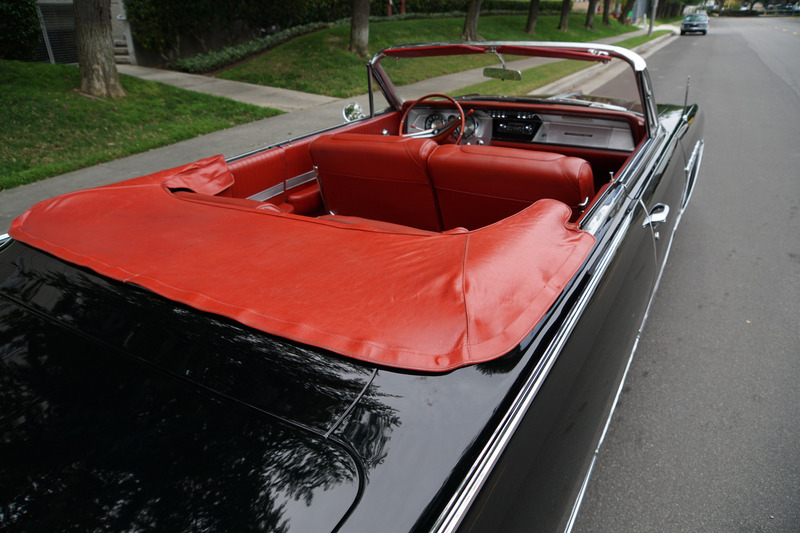 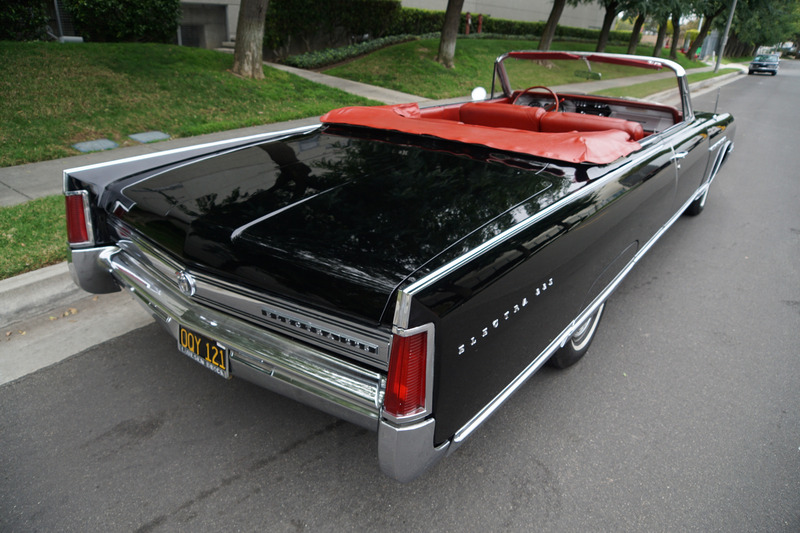 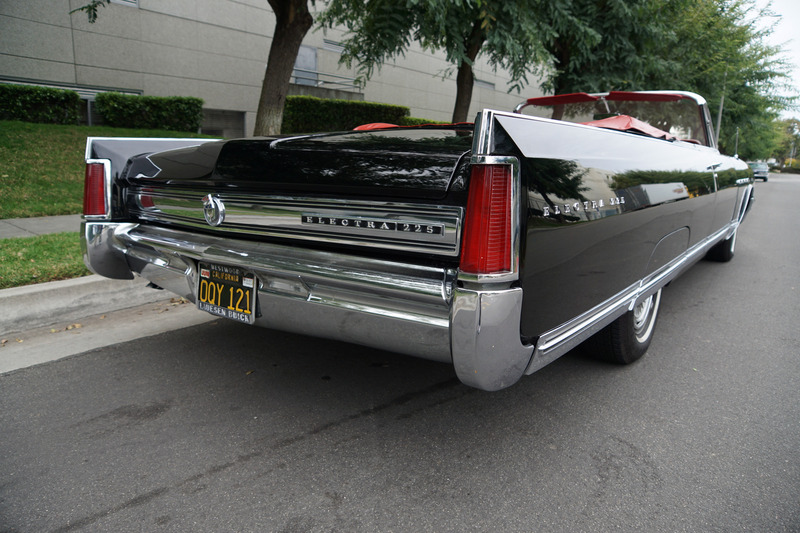 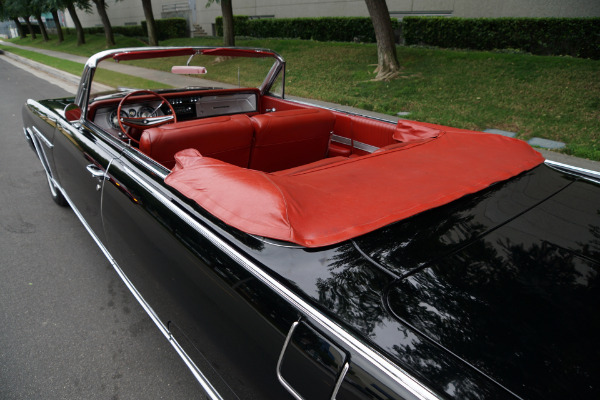 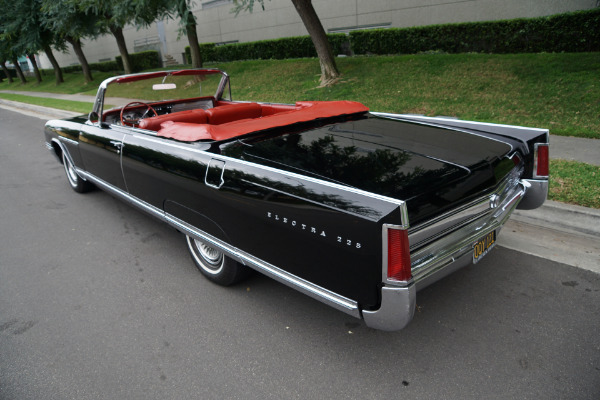 The Electra 225 Riviera was the top-line model and it shared its six window hardtop roofline exclusively with Cadillac (which offered it on all of its models). 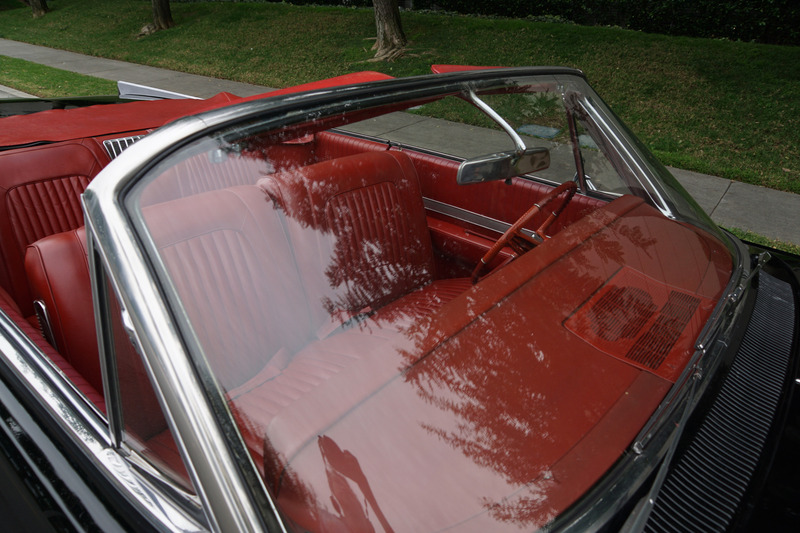 The two-door convertible was only available as an Electra 225, and the 2-door hardtop as an Electra. Standard Electra features included horizontal Red-line speedometer, two-speed electric windshield wipers, trip mileage indicator, cigar lighter, dual sunshades, Step-On parking brake, dual horns, Twin-Turbine automatic transmission, Foamtex seat cushions, electric clock, trunk light, glovebox light, power steering, power brakes, full wheelcovers and dual exhaust. 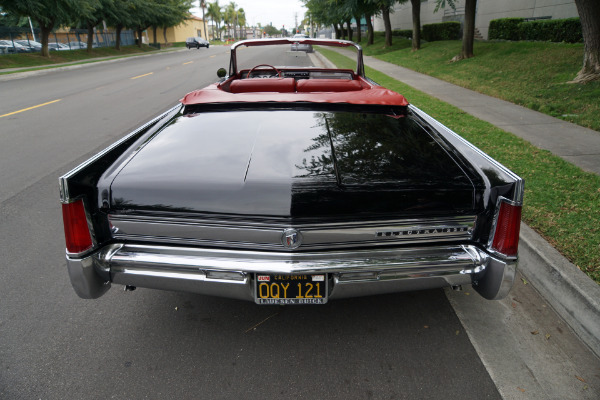 In addition Electra 225s had Super Deluxe wheelcovers and an outside rearview mirror as standard equipment. 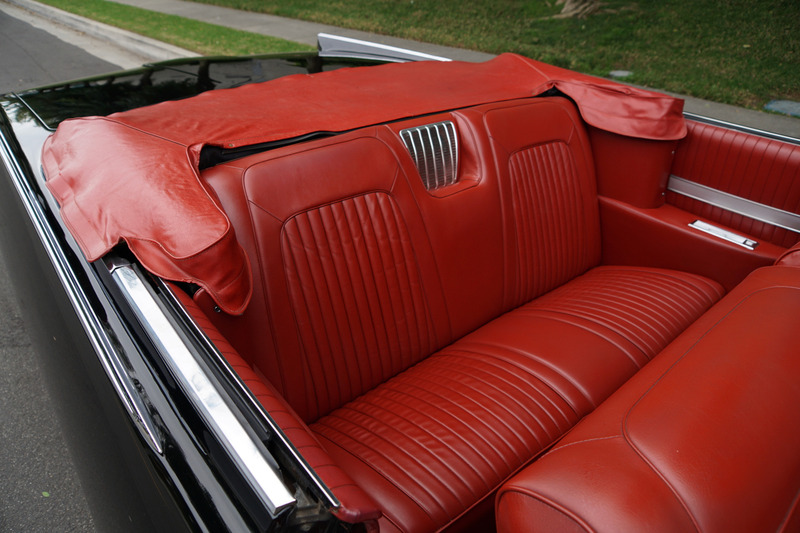 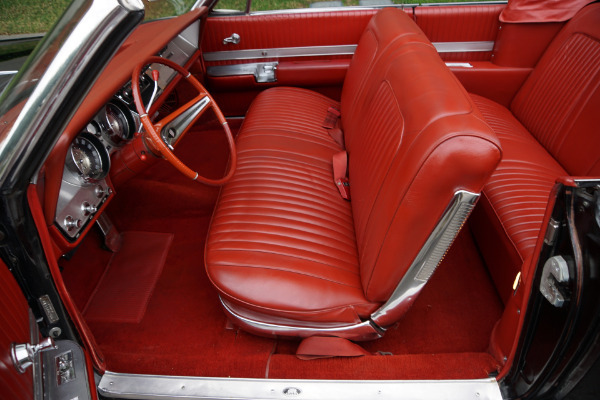 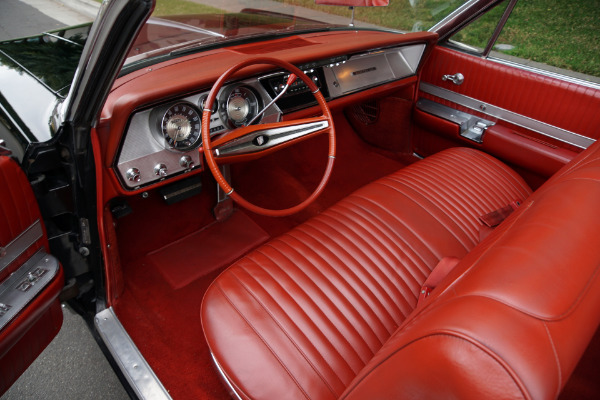 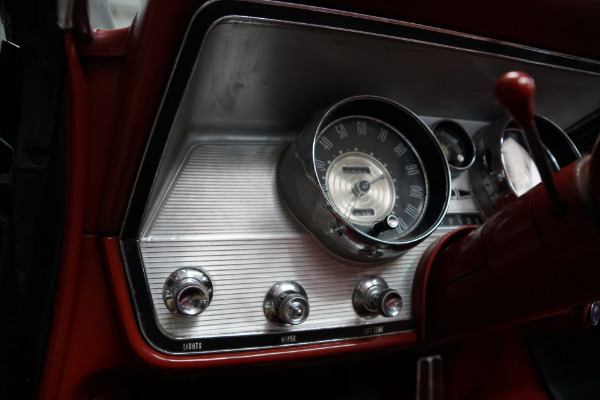 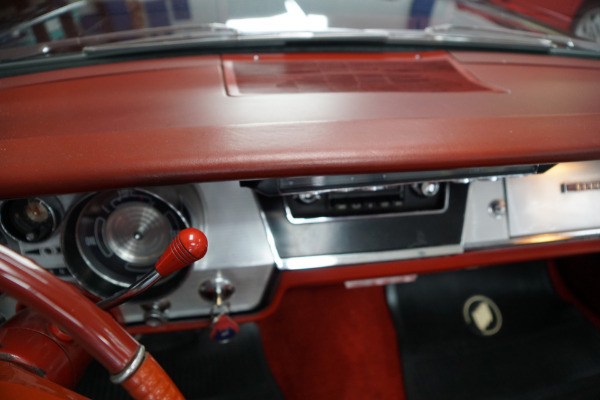 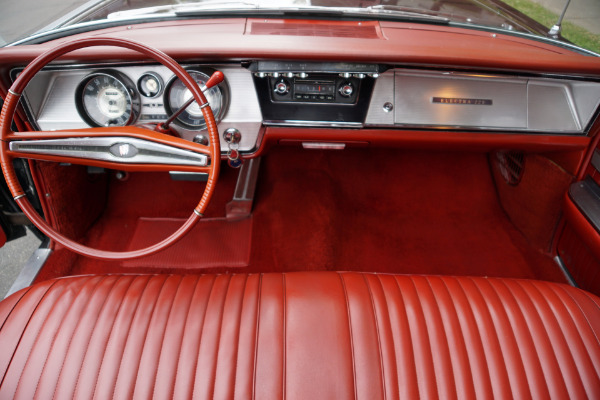 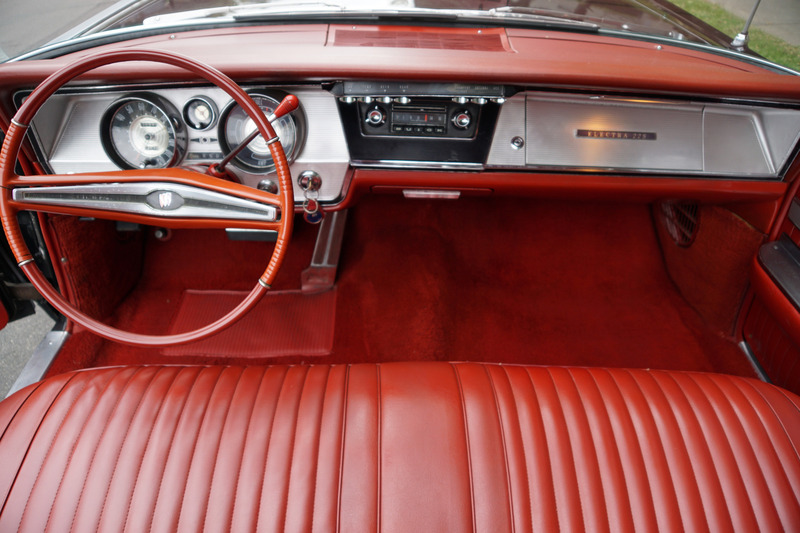 Padded dashboards were also standard. 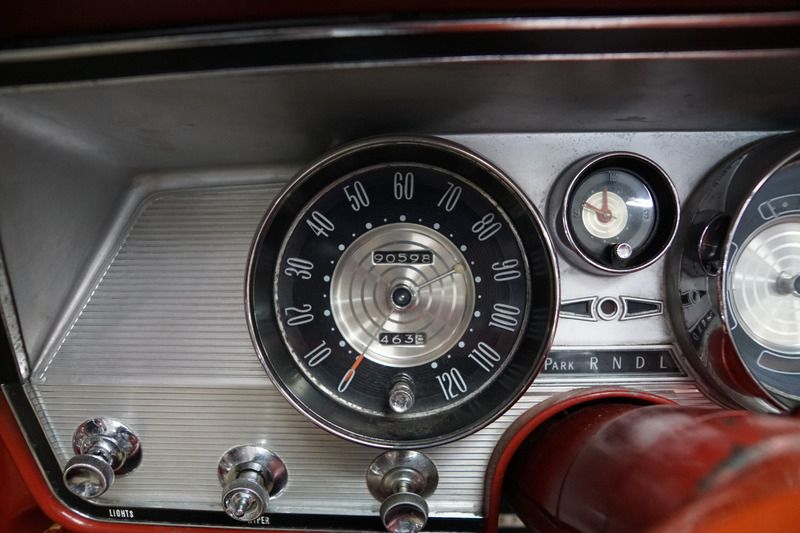 Standard equipment on the Electra included Turbine-Drive automatic transmission, "Mirromatic" instrument panel, directional signals, full-flow oil filter, electric windshield wipers, Deluxe steering wheel, trip mileage indicator, cigar lighter, Step-On brake, dual armrests, cloth and vinyl trim, combinations, carpeting, power steering, power brakes, two-speed windshield wiper/washer system, glovebox light, Custom-padded seat cushions and Deluxe wheelcovers. 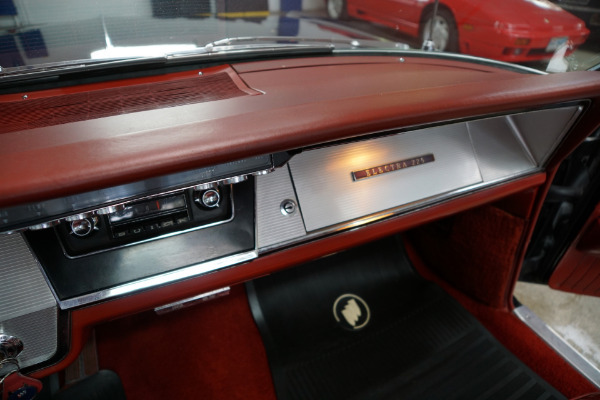 Two-tone Electras had the color accent on the rear cove. 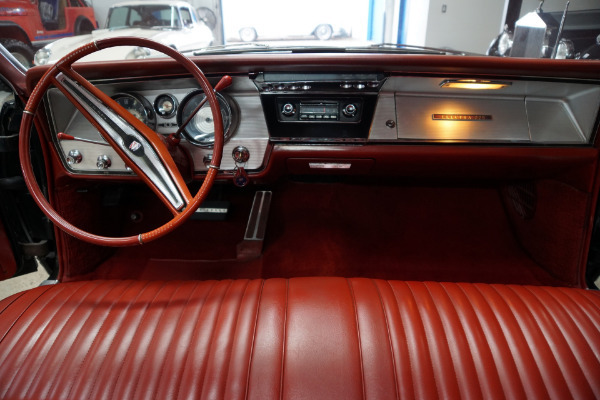 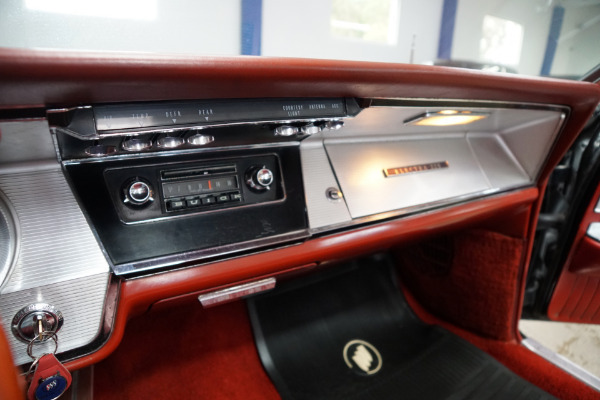 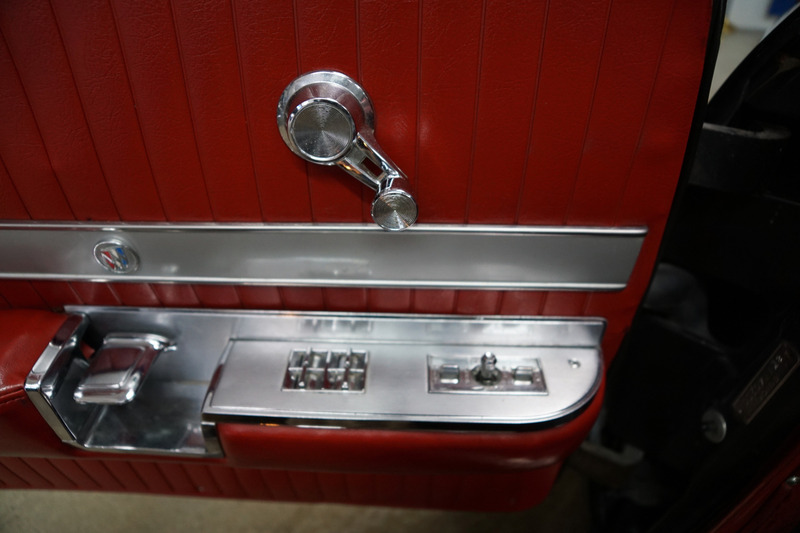 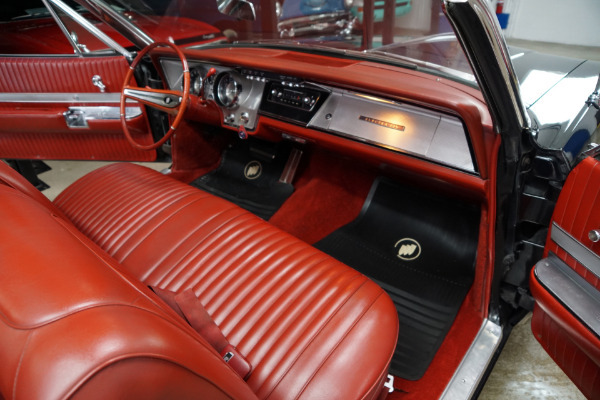 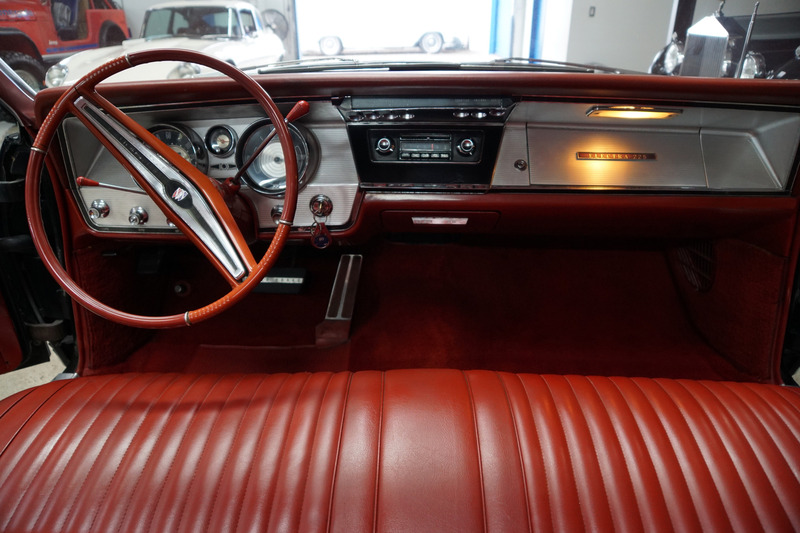 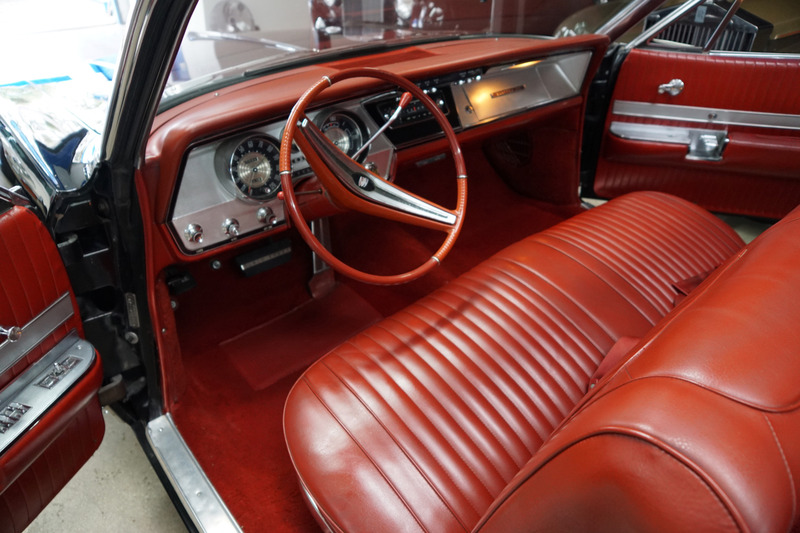 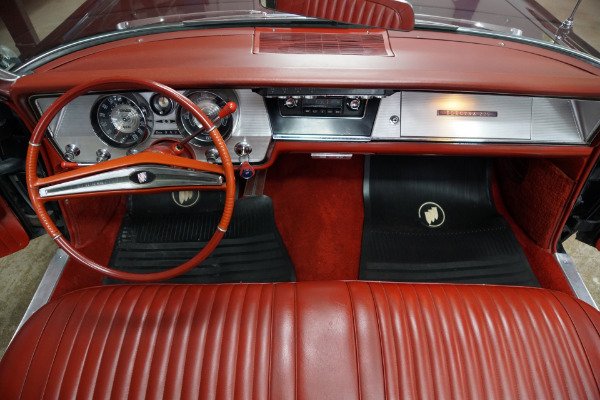 In addition Electra 225s had back-up lights, Glare-proof rearview mirror, parking lights, signal light, safety buzzer, courtesy lights, two-way power seat, Super Deluxe wheelcovers with gold accents and power windows. 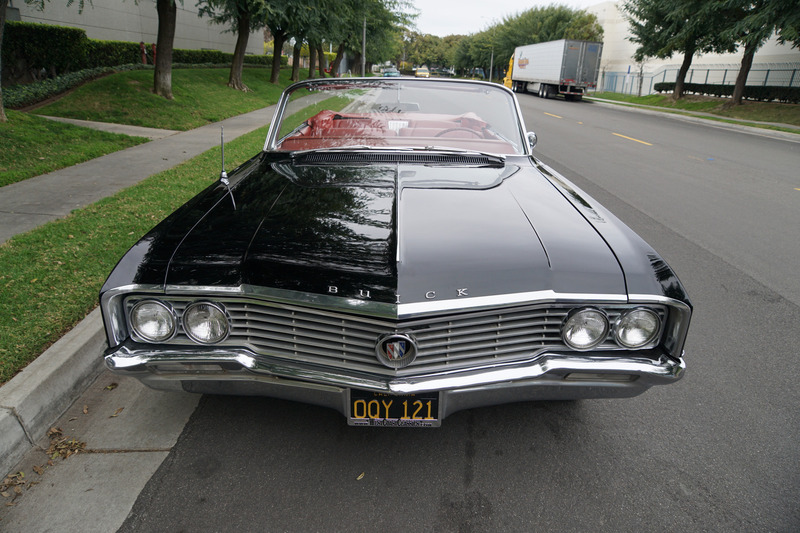 The Electra and Electra 225 were the same length in 1961. Buick discontinued the Electra nameplate at the end of the 1961 model year, leaving only the Electra 225 starting in 1962. 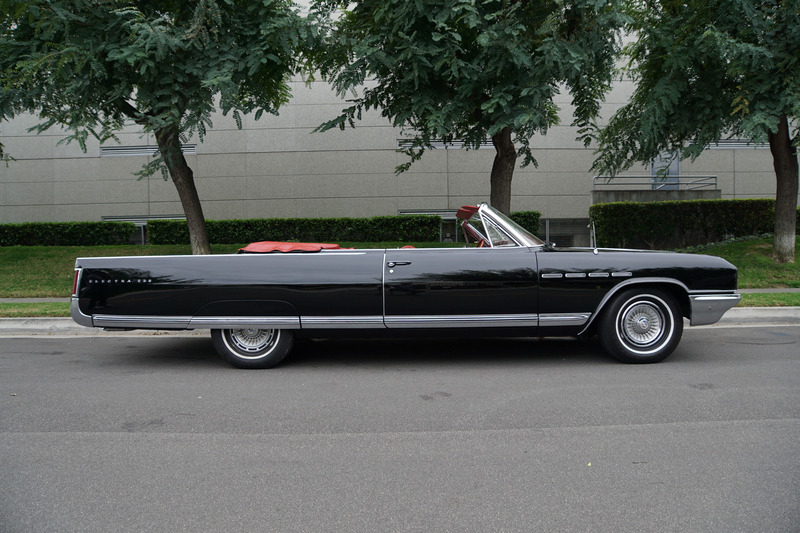 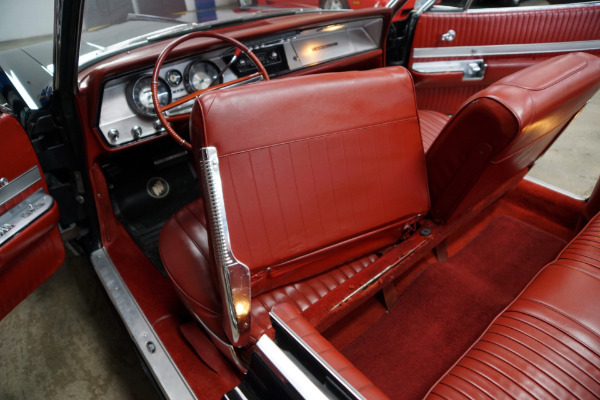 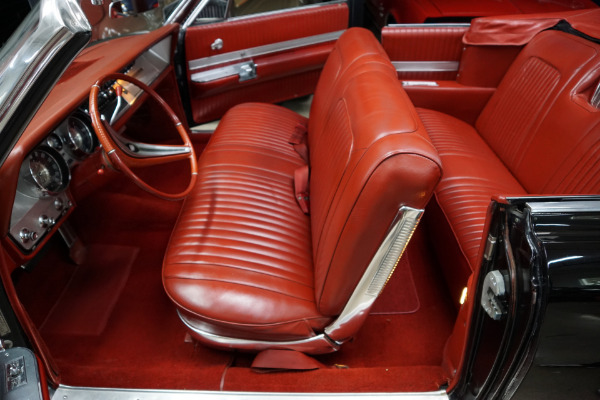 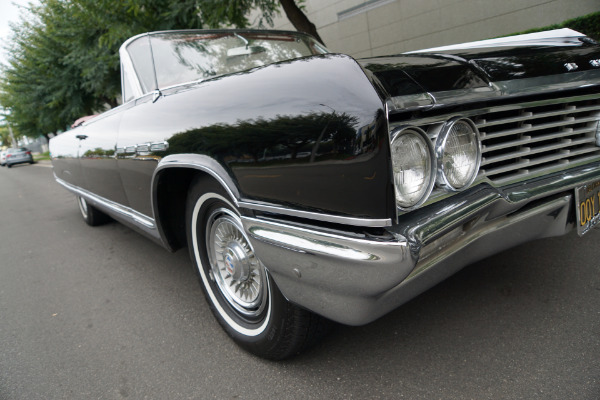 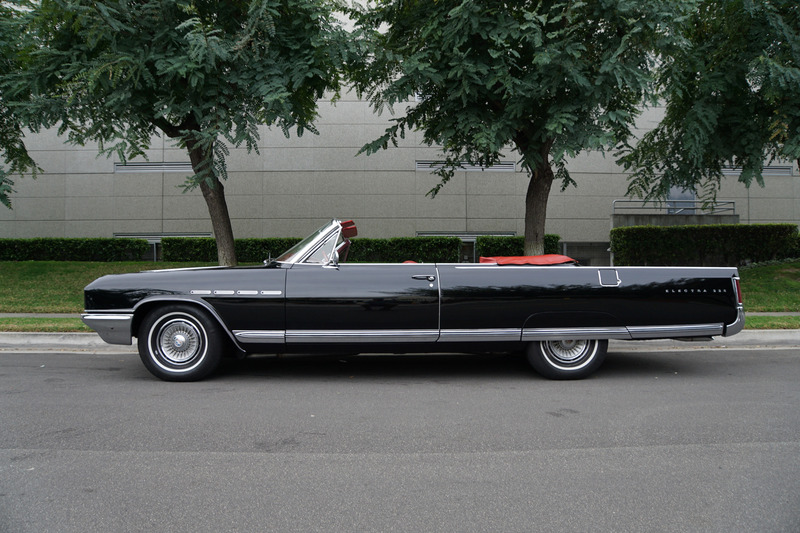 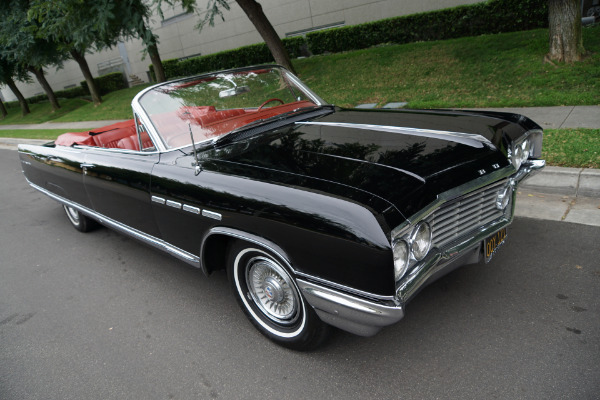 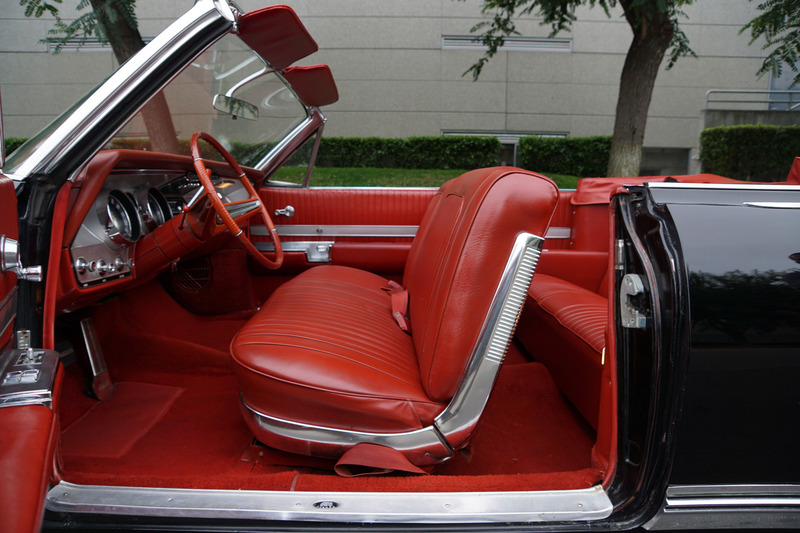 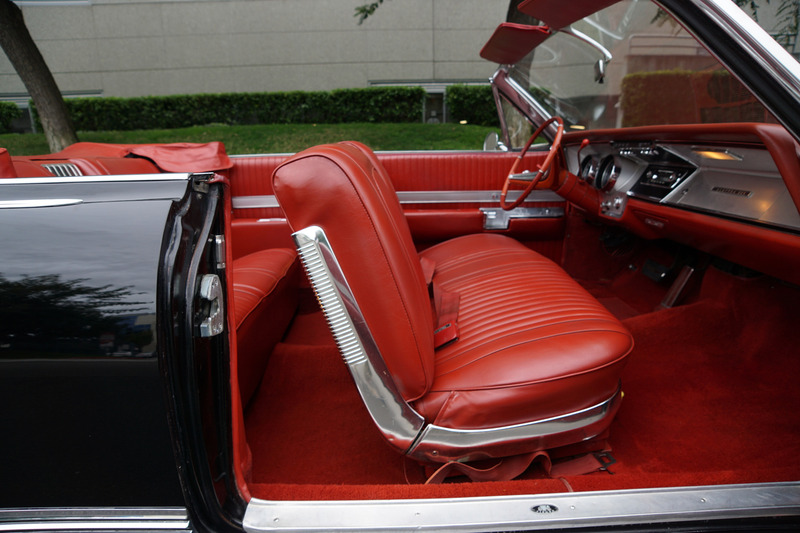 By 1964 the C-Body was used to create the Electra 225 and would be Buick's richest full-size car. Narrow vertical tailights were to be found in the nearly straight cut rear fender ends. 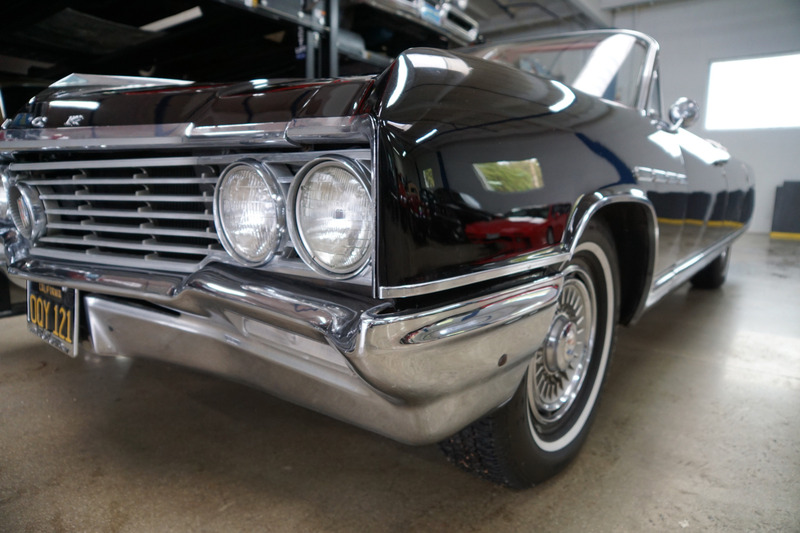 A heavy die cast metal grille accented the front end and 4 traditional ventiports were found on the front fenders. 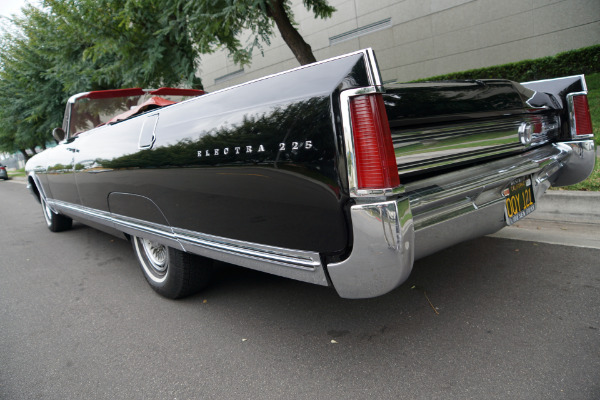 Most Electra 225's had rear fender skirts. 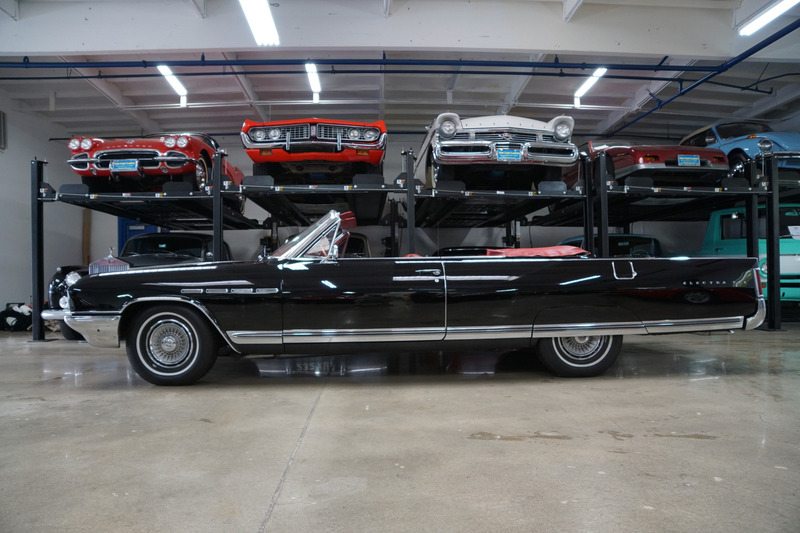 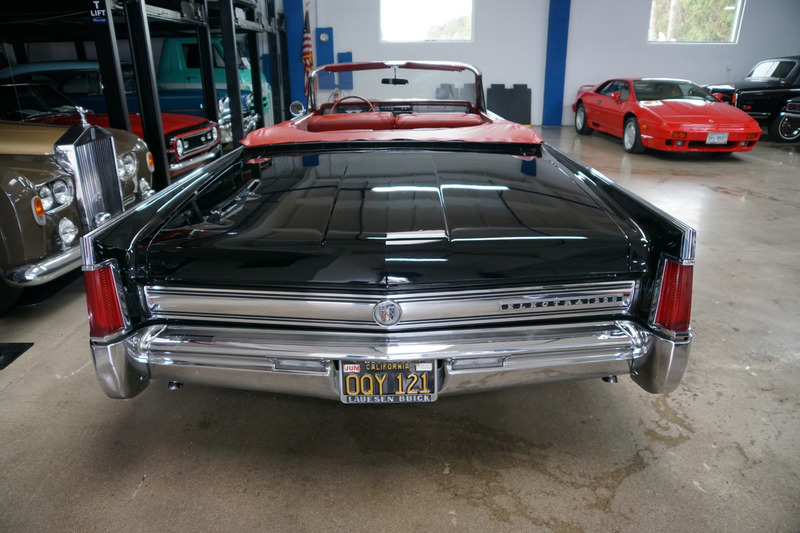 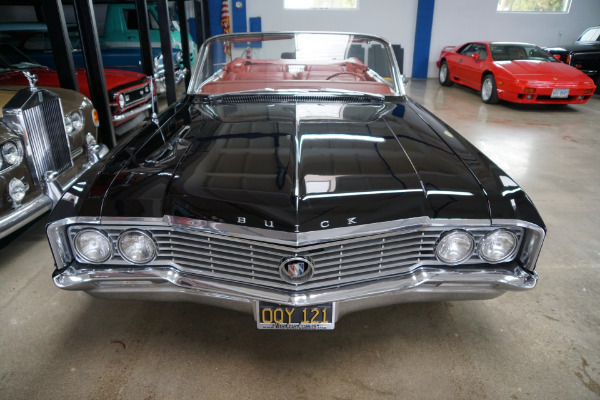 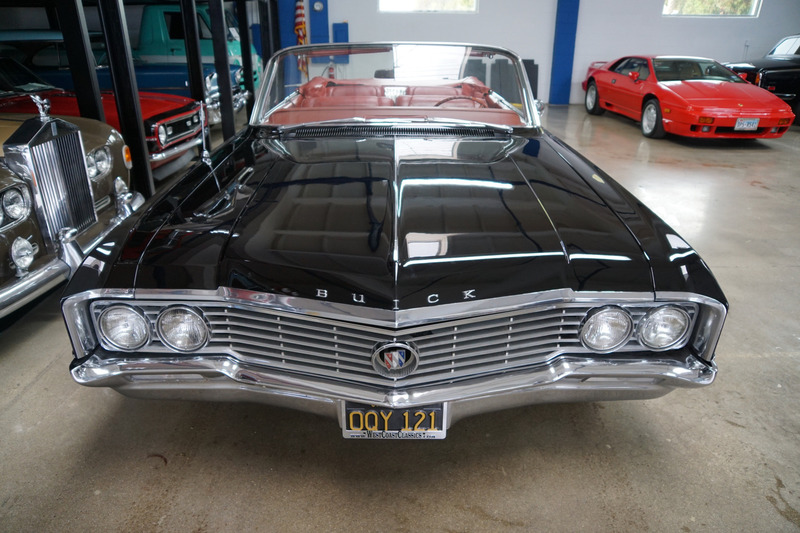 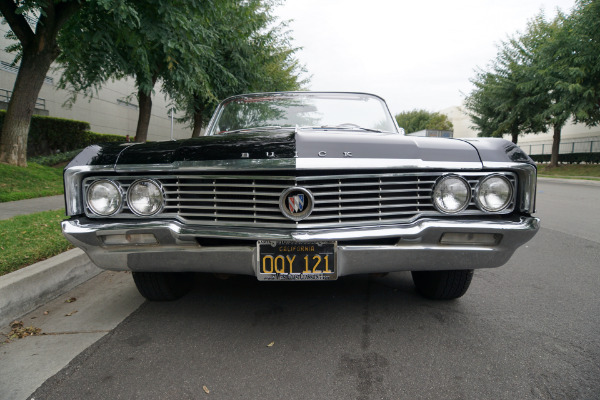 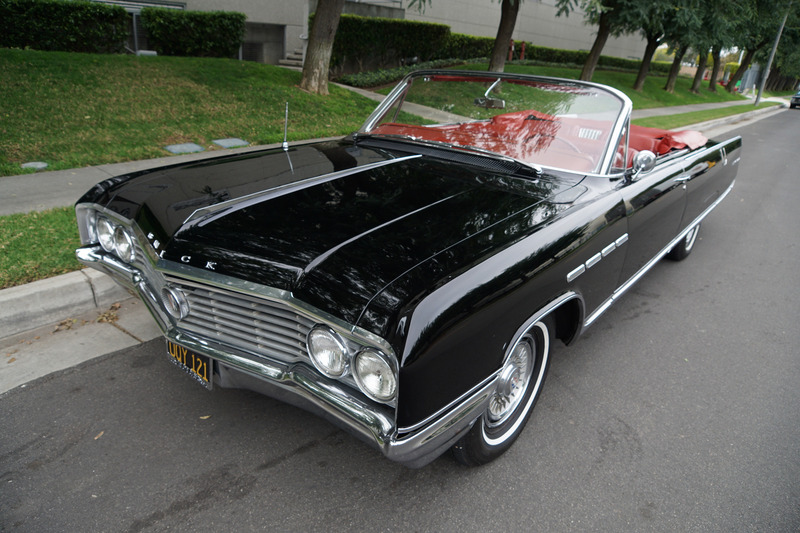 This is a rare opportunity to own a great daily driving and never abused example of an always garaged and covered original southern California 1964 Buick Electra 225 Convertible 401/445 in very fine condition throughout, one of only 7,181 built in 1964 and a highly coveted model amongst classic car collectors and obviously any Buick enthusiast! 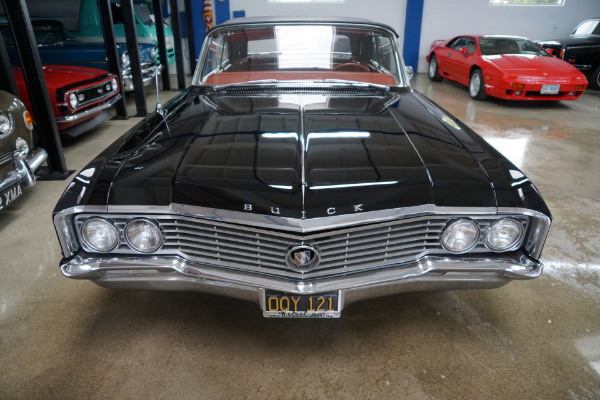 Owned since new by only reportedly two owners, this is a perfect example for any Buick enthusiast or collector to add to their collection or simply a great daily driving and turn-key ready example of one of Buick's finest year models for any classic American muscle car collector!